An amazing bespoke, go anywhere, steel blue water cruiser. 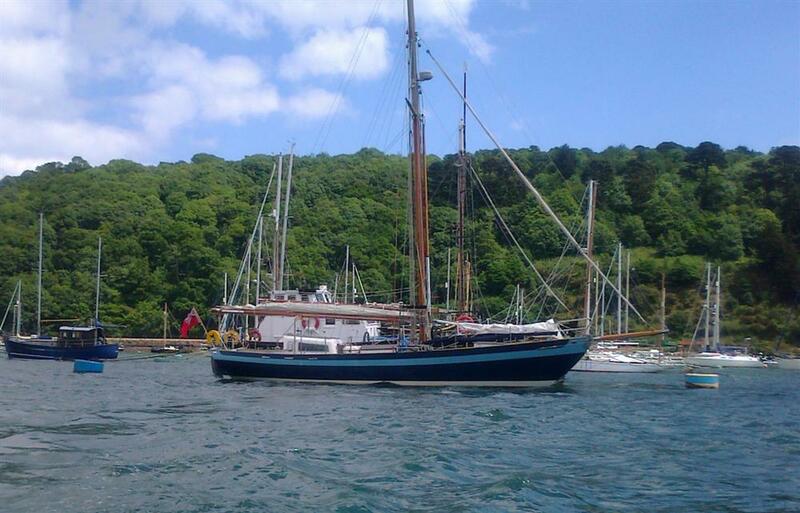 Designed by Jack Laurent Giles of Laurent Giles Architects in Lymington Hampshire, Dyarchy II is a 54' gaff rigged classic blue water cruising cutter, with steel hull and deck. 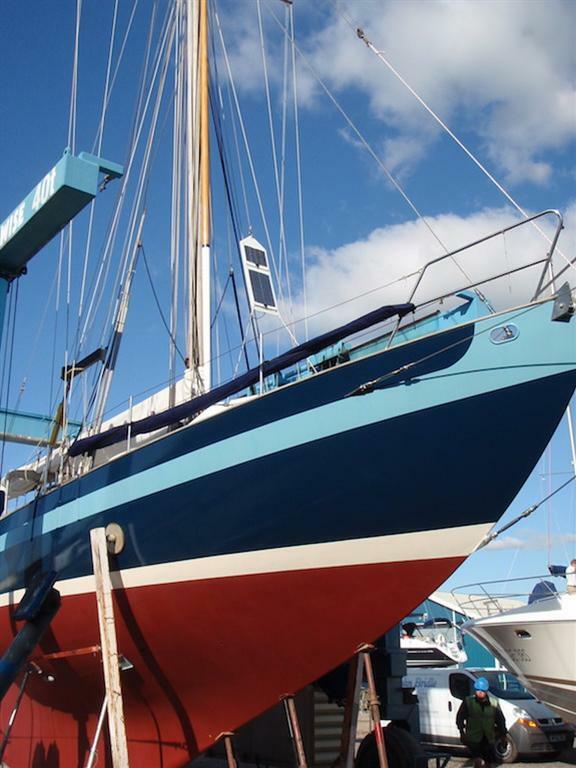 Launched in 2006, and bespoke fitted out to the highest standards, she also had a significant refit in 2016 including a brand new 75 HP Beta Marine diesel engine and a complete rig overhaul. Specified by her current owners to travel to either Northern high latitudes or Tropical climates, and to be handled by just two, the possibilities with this unique and literally stunning yacht are endless. 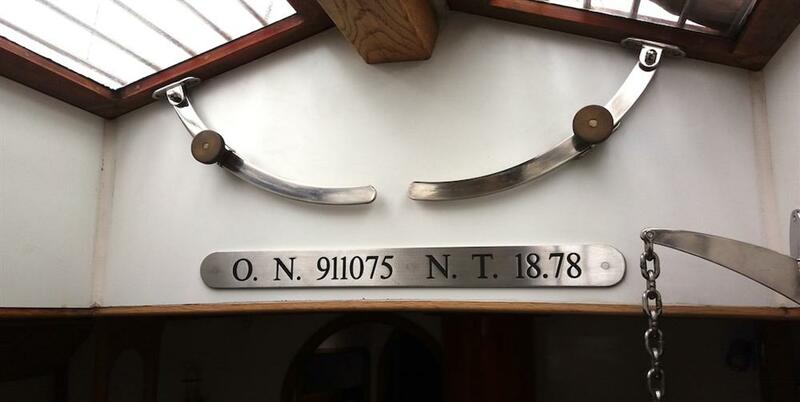 Perhaps a Northwest Passage? A trip to the Pacific? 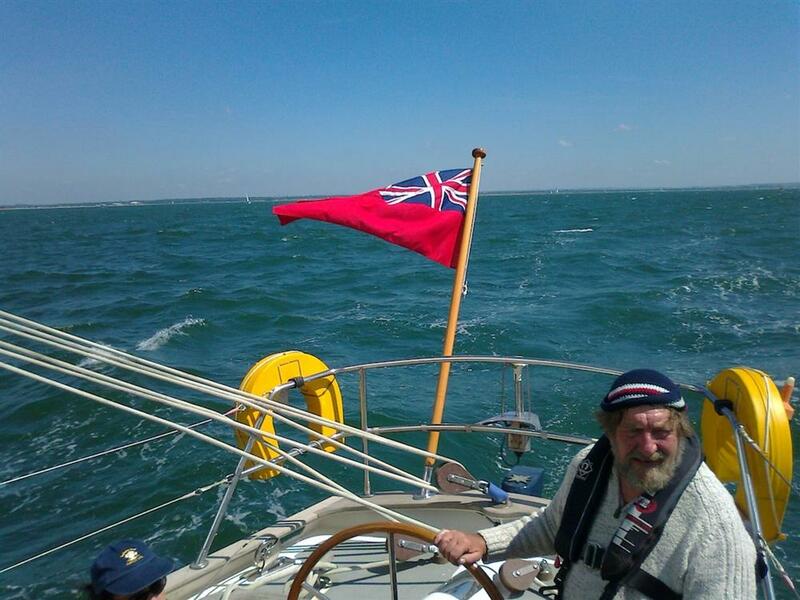 Or simply sailing locally in the Solent and enjoying being much admired. Whatever her new owners choose to do with her, she is sure to set pulses racing and heads turning. 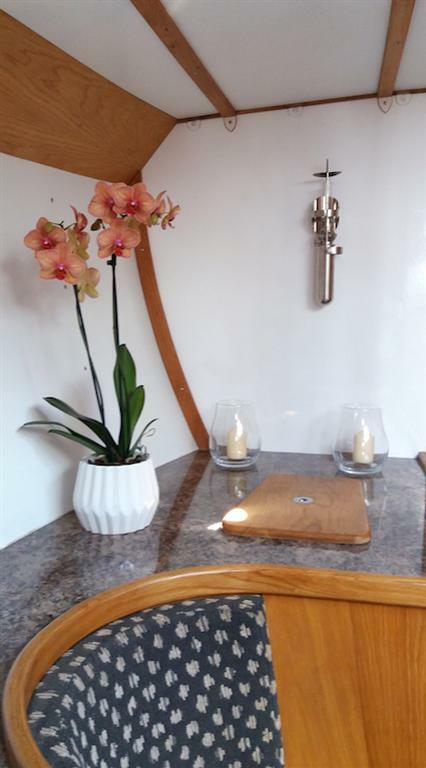 A handsome yacht, with very distinctive lines, her bespoke interior is also beautifully designed and is fitted out in American Oak with great attention to detail and many interesting features. Full details are in the specification section. 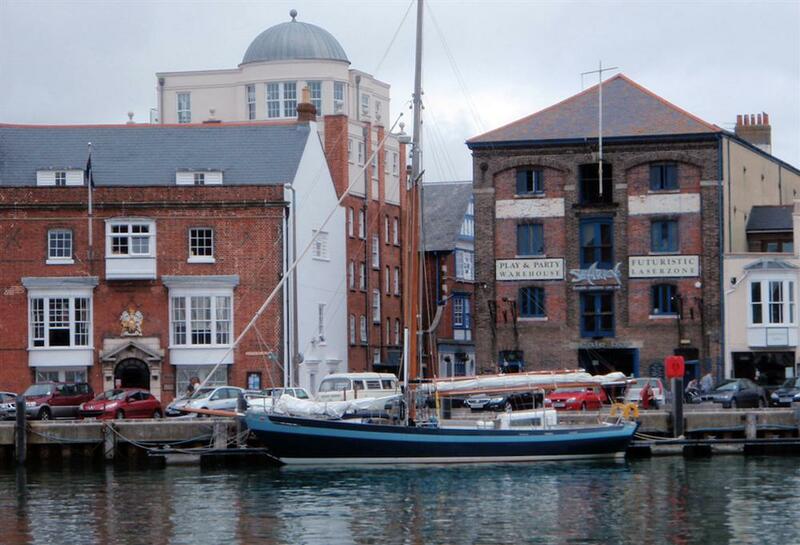 Designed by Jack Laurent Giles of Laurent Giles Architects - Lymington. Hampshire UK. 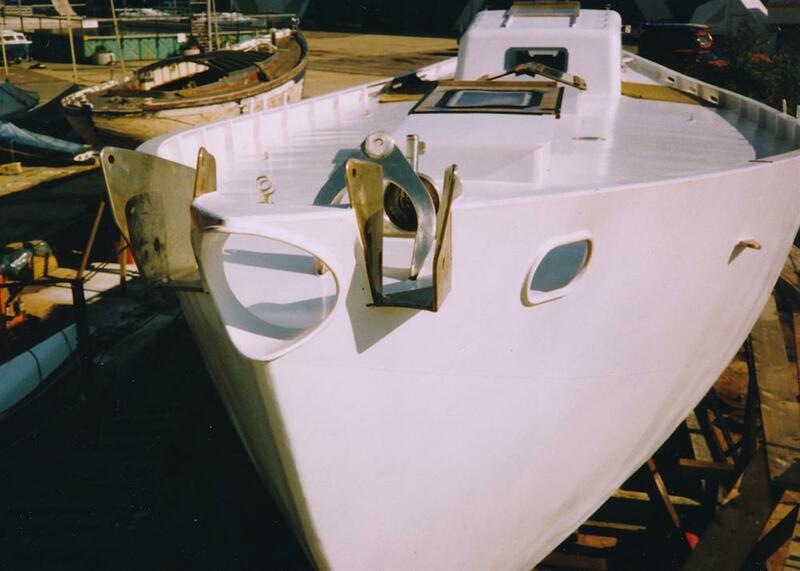 Gaff Cutter - Steel Hull and Deck. Integrally ballasted deep keel . 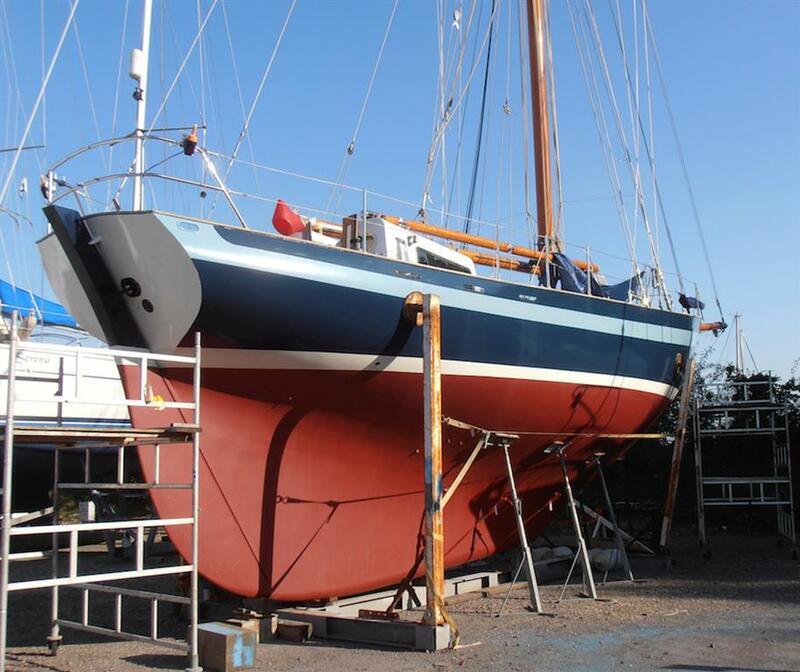 Hull colour Britannia Blue with sky blue coving stripe, and cream topsides. 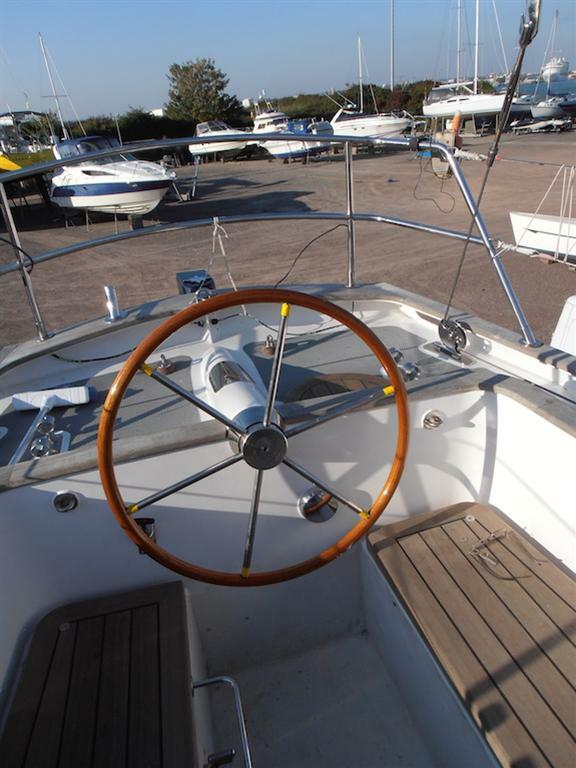 Classic Bluewater cruiser, launched/constructed 2006, and bespoke fitted out to highest standard. 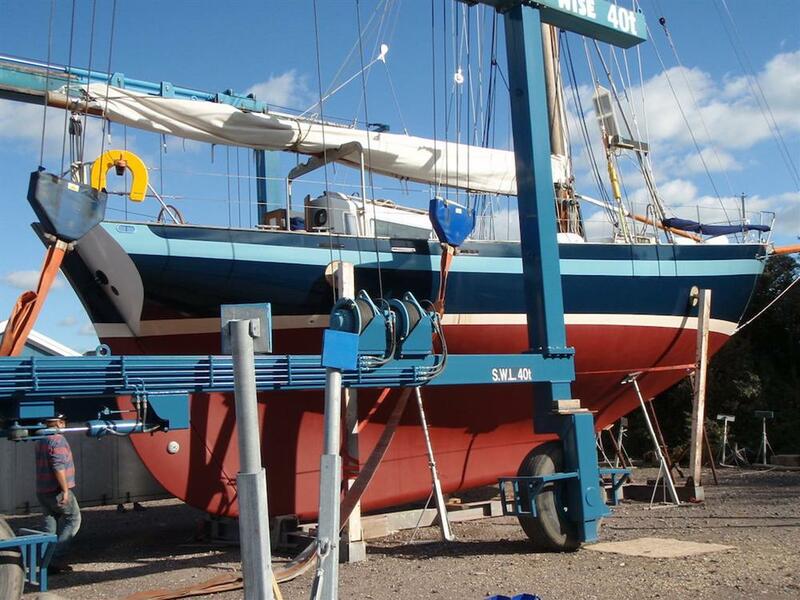 Major refit in 2016 with new Diesel Engine ( currently under commission), and rig overhaul. 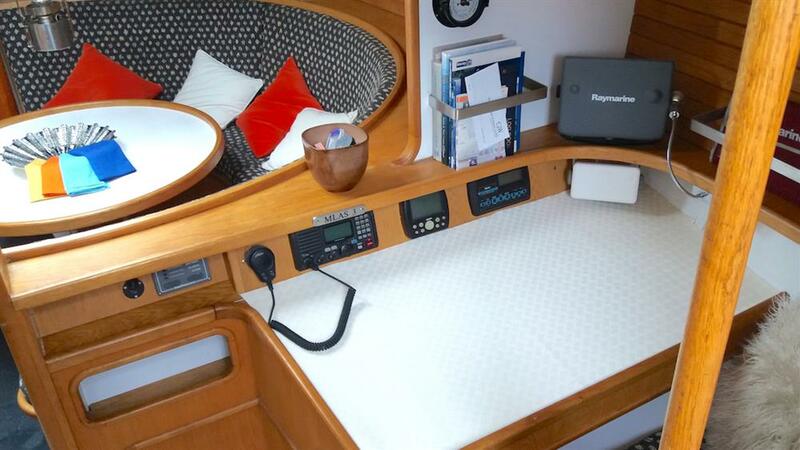 Britannia blue steel hull - generous and well rounded, making for roominess below. Moderate overhang forward keeping decks dry in a seaway. 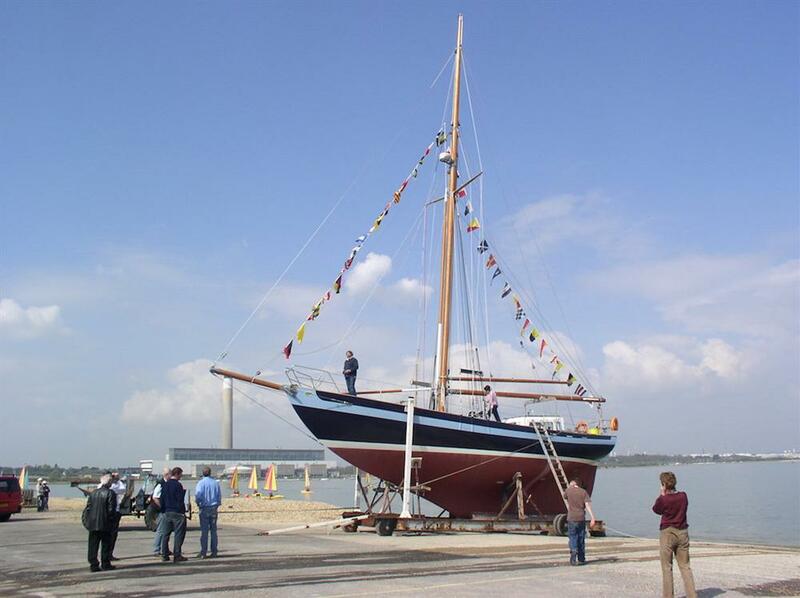 Deep long keel, with transom mounted rudder and wing engine. Hull integrally ballasted with 8.5 tonne iron ballast. 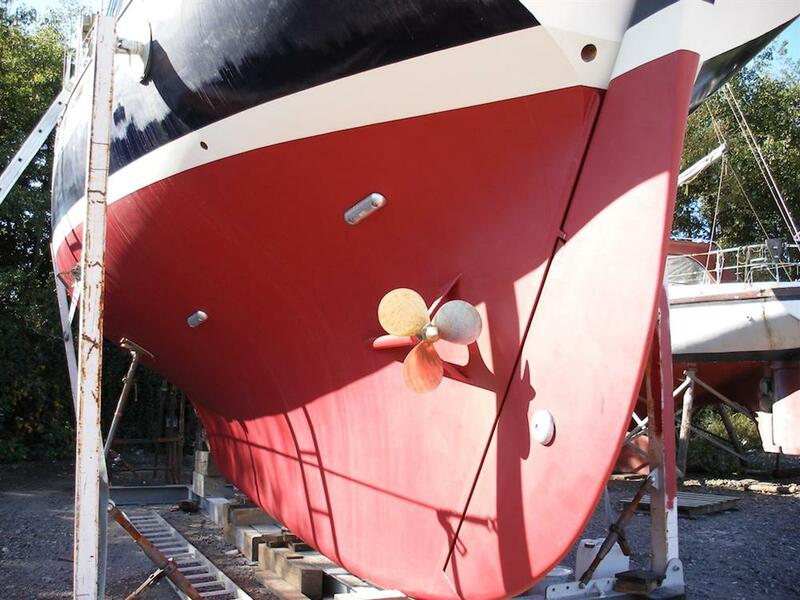 The hull was internally and externally blasted and coated with epoxy system from new. Internally insulation PUF foam sprayed 50mm depth, in all areas except below sole, forward of collision bulkhead, and in engine bay and lazarette area. Large flush uncluttered deck, chosen for safety and ease of use. Steel deck surface is painted , steel with tread-master antislip overlay. Teak capping rails. Stainless steel pushpit , pulpit and guardrails. 2 off full length deck safety lines. 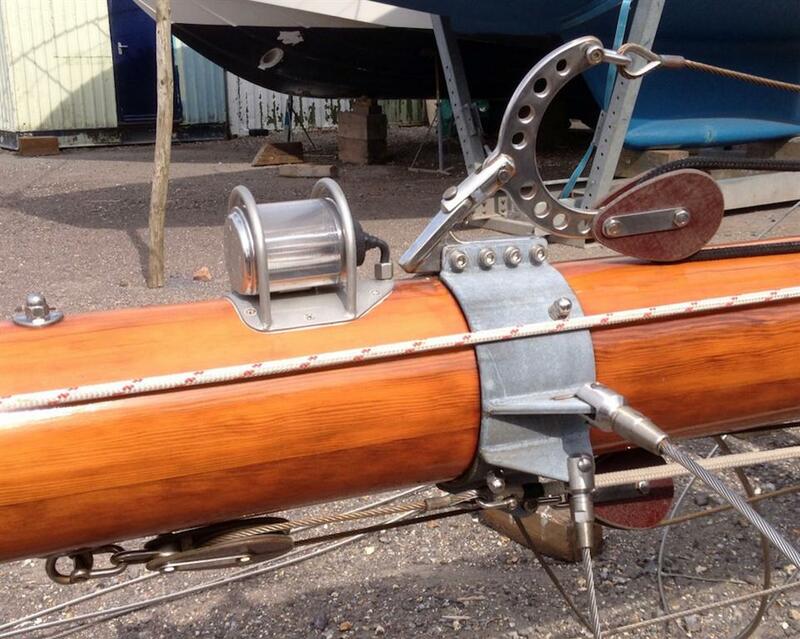 Teak bar cleats. Electric winch. Stowage for storm anchor. 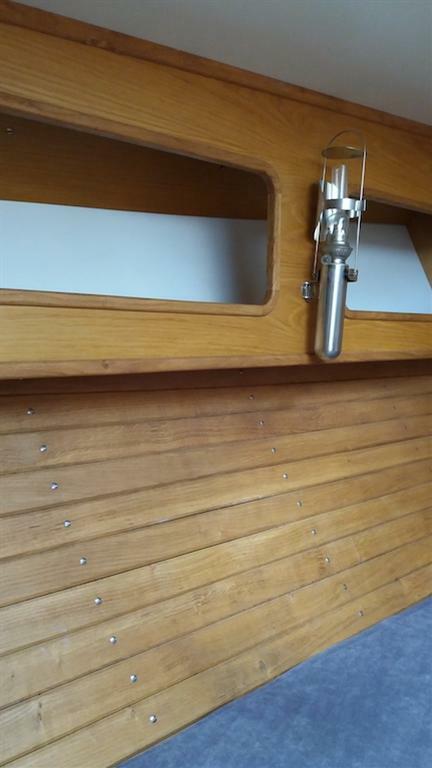 Forward access hatch - with teak clad lid giving access to forward cabin. Teak framed opening skylight above main saloon with 12mm laminated toughened glass /stainless steel guard bars. 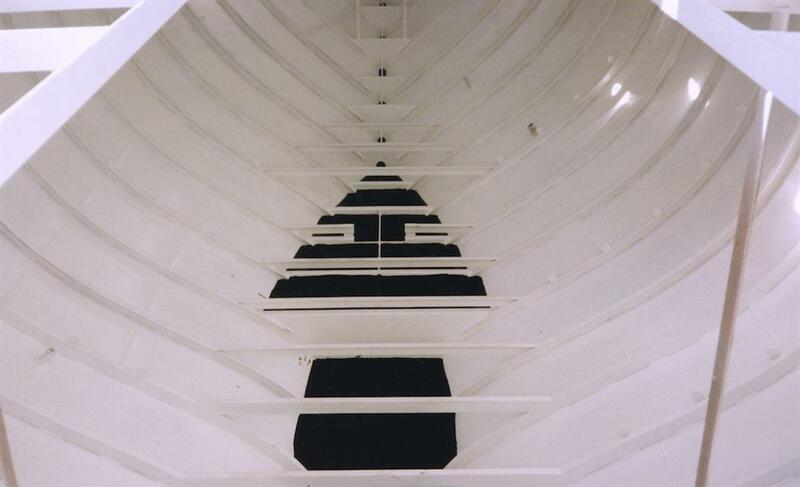 Liferaft - normally located between skylight and pilot house. Cockpit - Aft cockpit that is roomy, deep self draining, with sole teak grating. Comfortable seating for 4 plus. 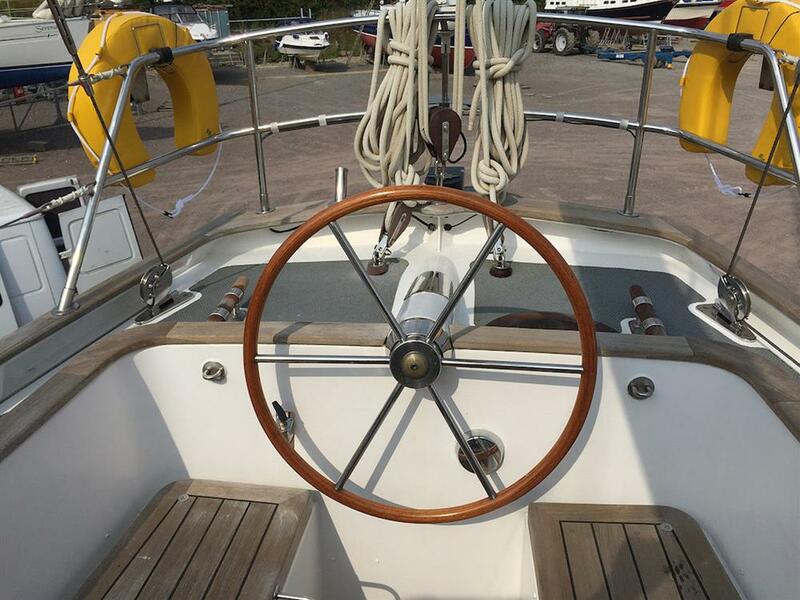 Stainless steel and teak steering wheel linked via whitlock steering gear to transom mounted rudder. External speakers and engine monitoring system. 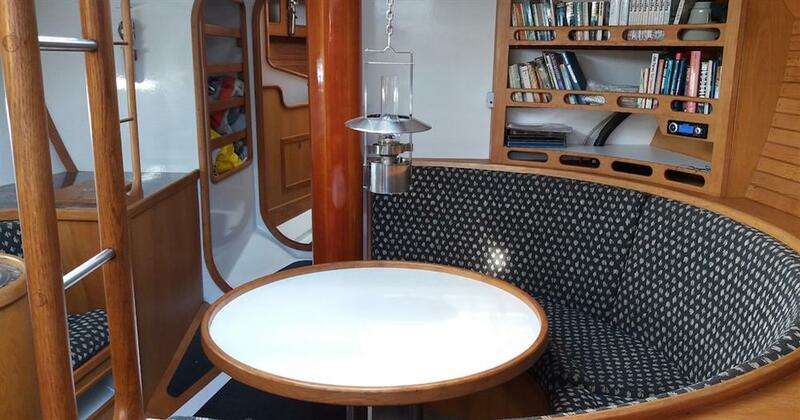 Teak clad cockpit seats give access to lazarette area for deck equipment /mooring equipment stowage and to access generator. LPG locker located behind cockpit - flush mounted with teak lid. Full headroom throughout. All furniture from American Oak - bespoke to fit. From cockpit down centre companion into pilot house. Pilot house with pipecot berth to port. 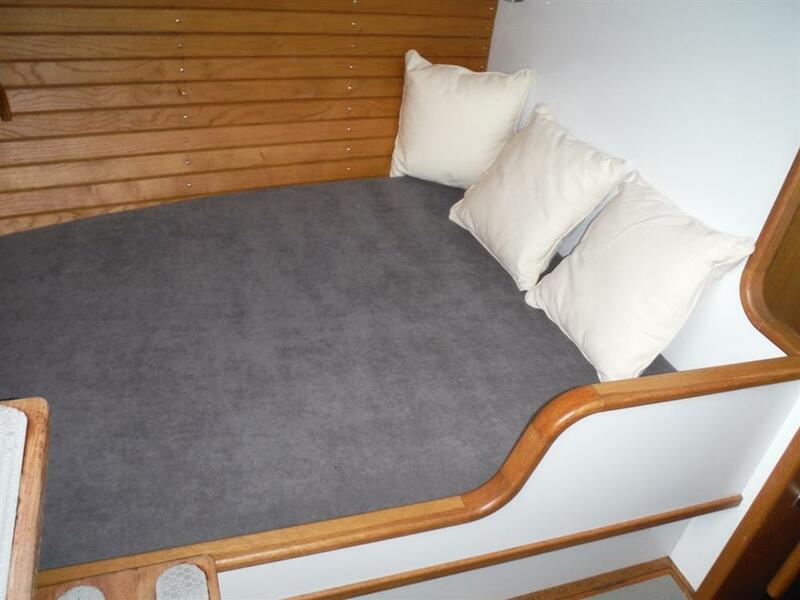 Large double berth to port and small double berth to starboard. Engine located under pilot house sole via hatches, with antislip covering. Fire extinguisher for Engine. Engine control panel. Storage stuff-locker above both double berths. 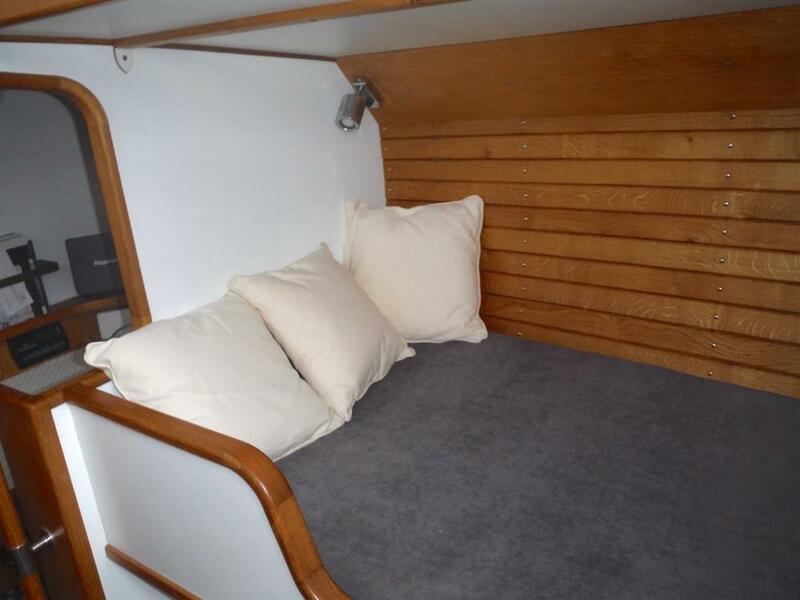 Large storage space under both double berths. Main ships batteries stored under portside berth. From pilot house down centre companion to Main Saloon level. 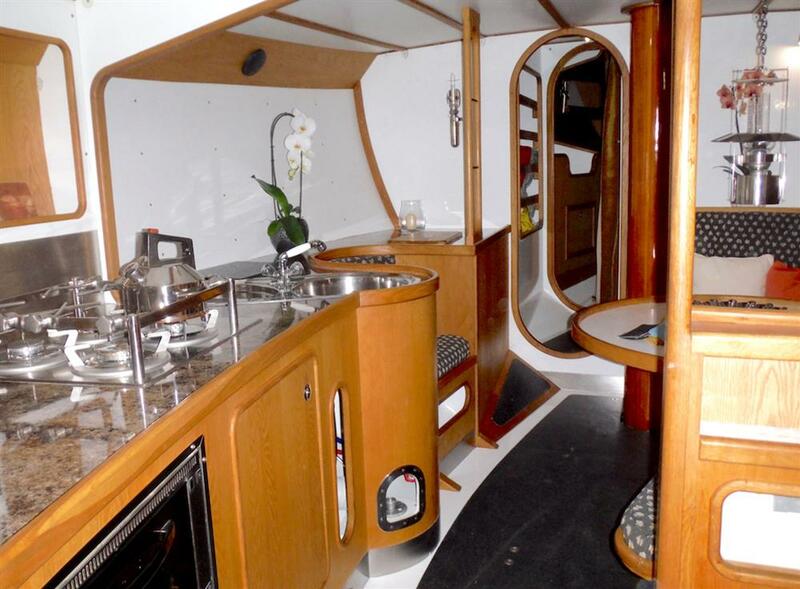 Main saloon with opening skylight operated by handmade bespoke stainless steel adjusters. Saloon is very light and airy. Central stainless steel hanging swedish oil lamp, with 2 bulkhead mounted swedish oil lamps for evening ambiance. 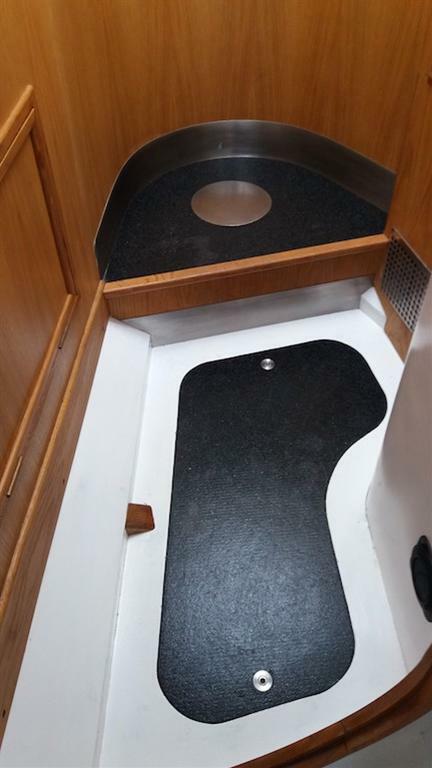 Floor throughout saloon and forward of saloon is finished in non-slip black finish with pearl white edging. 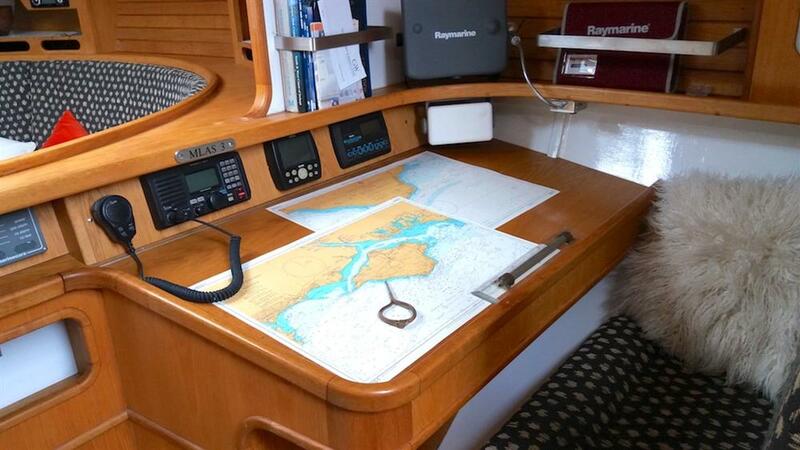 To starboard: Navigation area with full size chart table and electronic navigation equipment. 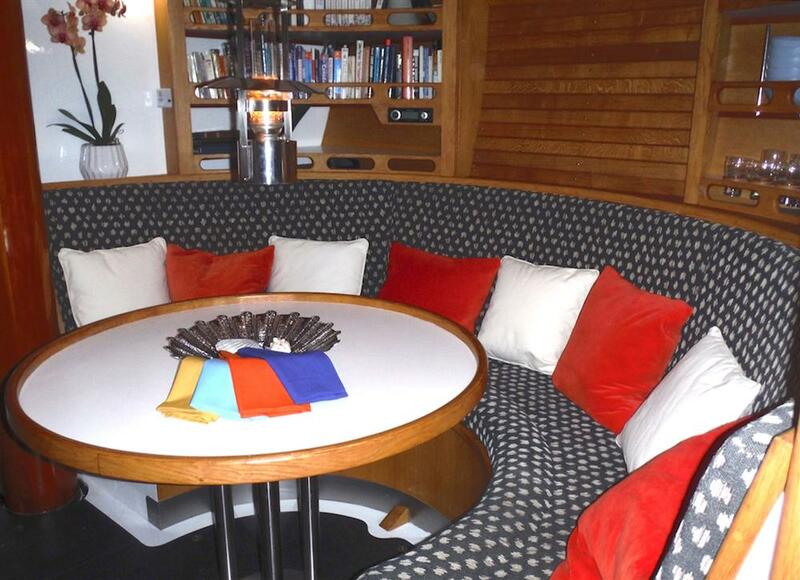 Dining area - round white table with Oak fiddle edge - comfortable seating for 6 persons. 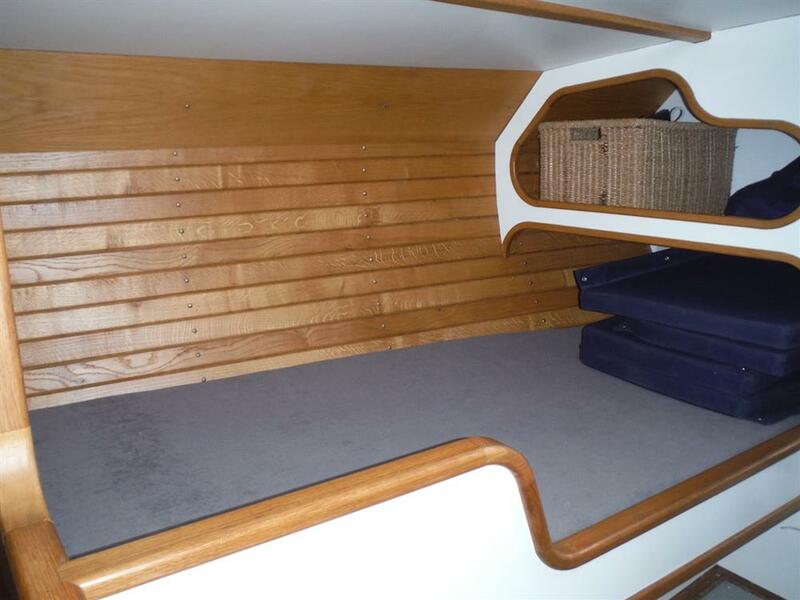 Significant stowage/lockers under and behind seating area. 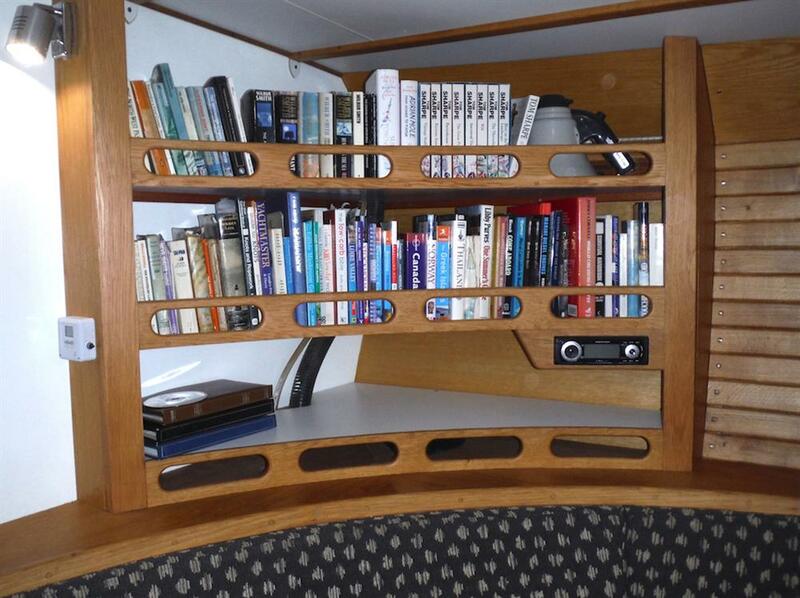 Above dining area - bookcase forward end with built in radio/music system and china/glassware shelving at aft end. 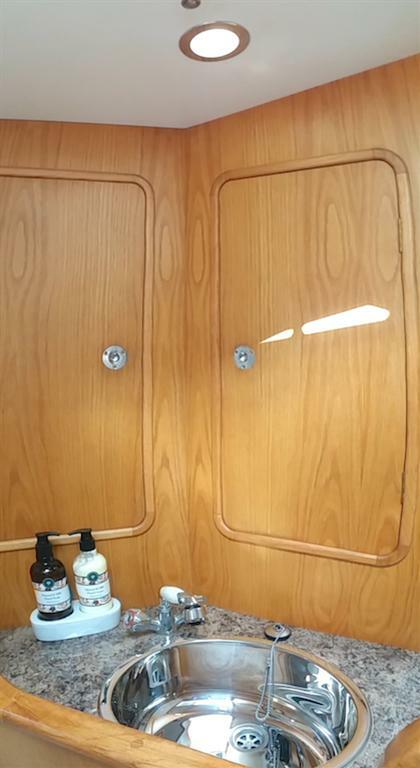 To port: Full height wet locker with double depth hanging space. 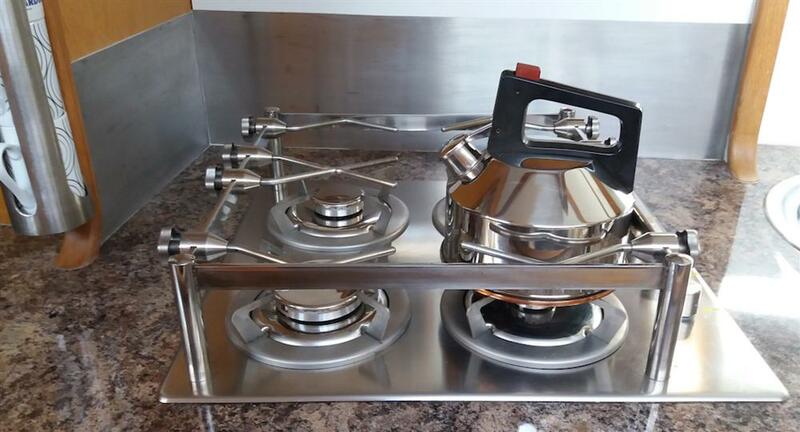 Galley area comprising 4 burner gas hob with sturdy bespoke polished stainless steel fiddle rail and separate LPG oven. 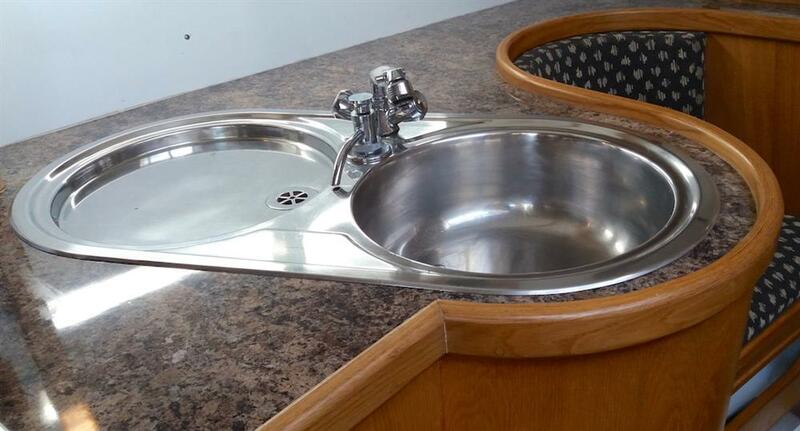 Stainless steel sink and drainer with foot operated saltwater pump and hot/cold pressurised water. Captains seat built in. 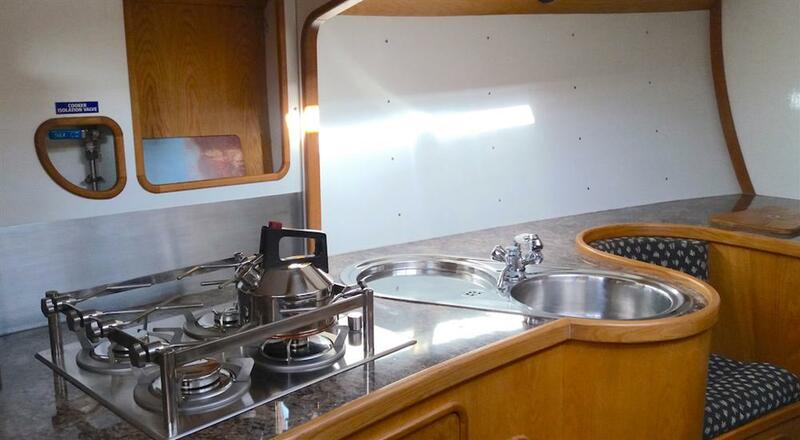 Top loading built in Fridge and large worktop/food preparation area. 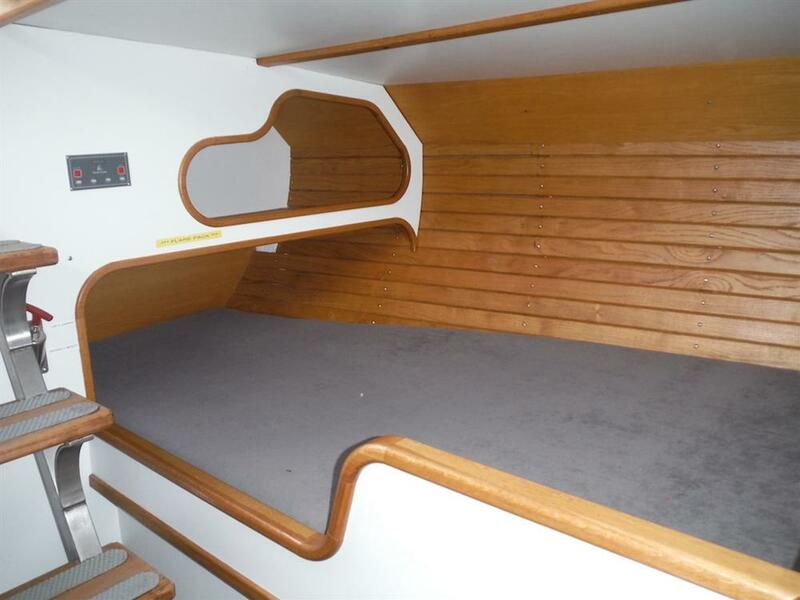 Stowage under gas hob, and behind captains chair. Large worktop level locker adjacent to gas oven. 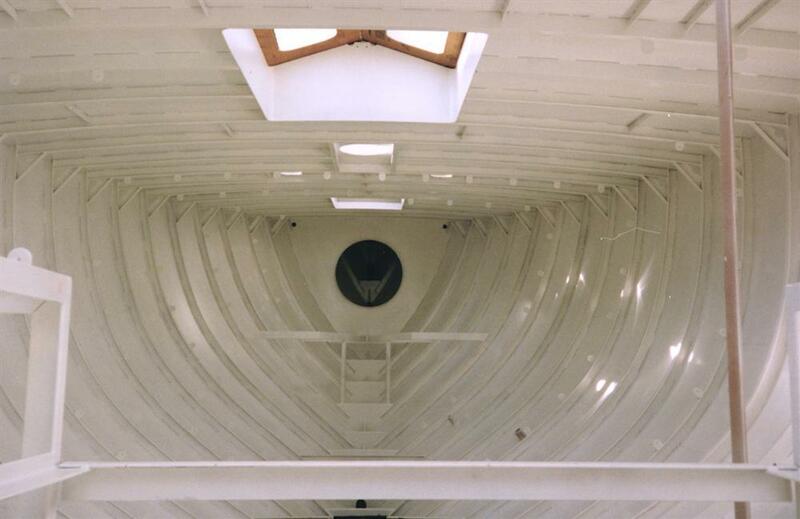 Main mast is keel stepped and sited at forward end of main saloon, with main bulkhead - painted pearl white. 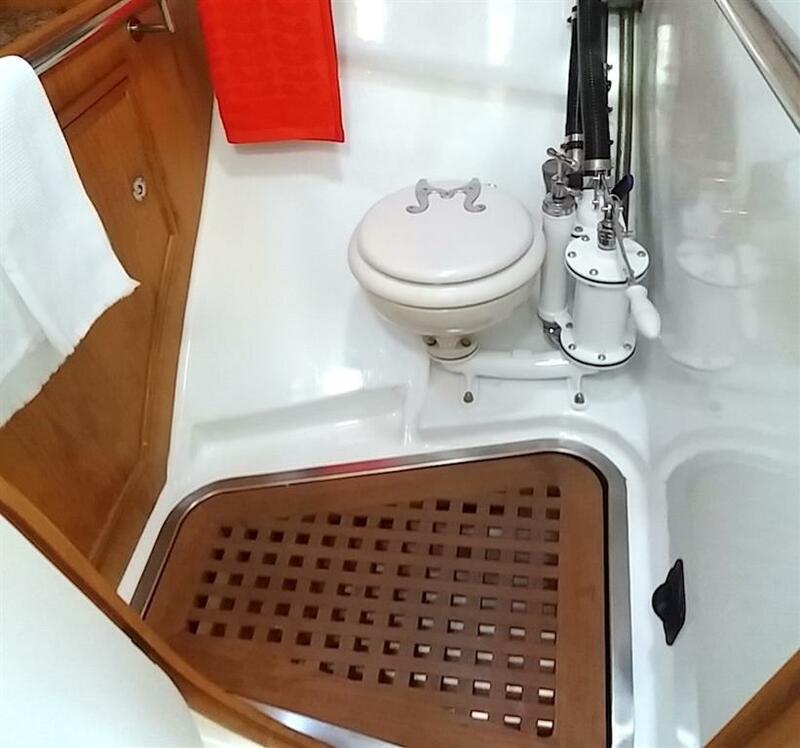 To starboard : large, comfortable, safe heads with Blake Excelsior toilet, shower, vanity sink and large locker. Stainless steel grab rails throughout. 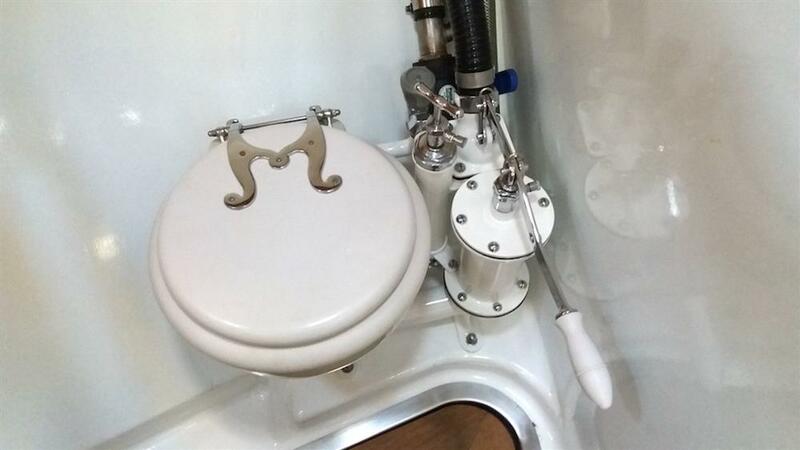 Toilet in good condition - note sewage holding tank capacity 40 gallons is in an unused condition and is located behind seating the main saloon. 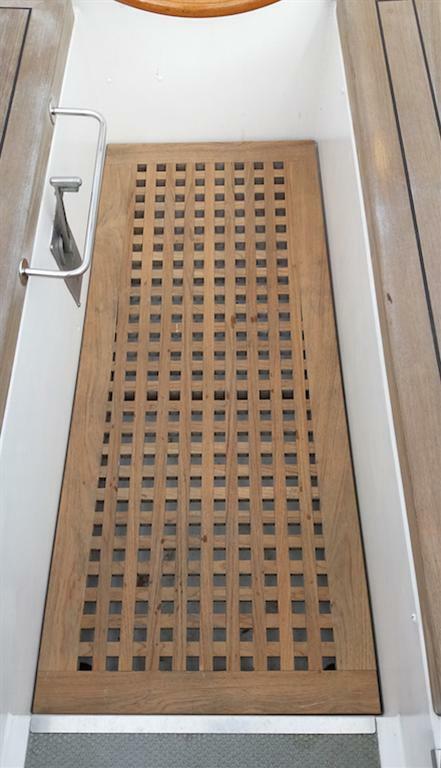 Shower with stainless steel bespoke shower tray with teak grating. 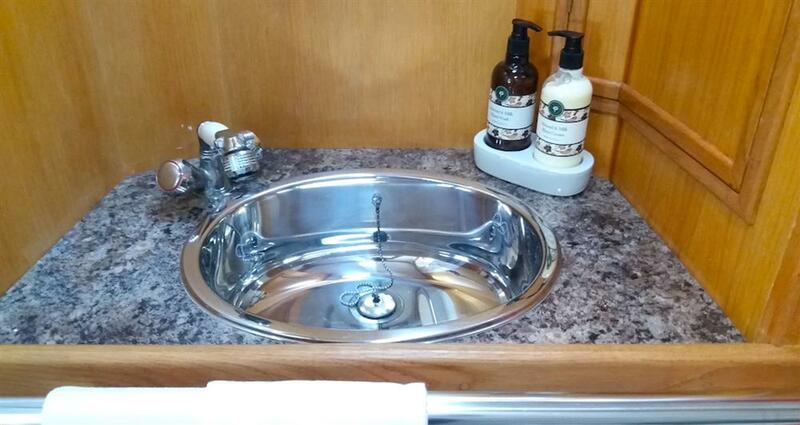 Vanity sink with hot/cold pressurised water . Holding tank for sinks and shower water located in cupboard under vanity sink. To port - sail locker. 54 feet (16.4M)LOA. 46 feet 6 inches (14.1M) LOD. Draught 7 feet 6inches (2.28M). Beam 12 feet 6 inches (3.8M). BetaMarine Beta 75 hp . RCD 94/25/EC compliant : meets EPA (U.S. Environment ProtectionAgency) exhaust emission compliance. Gearbox - Borg Warner 72C Velvet drive. 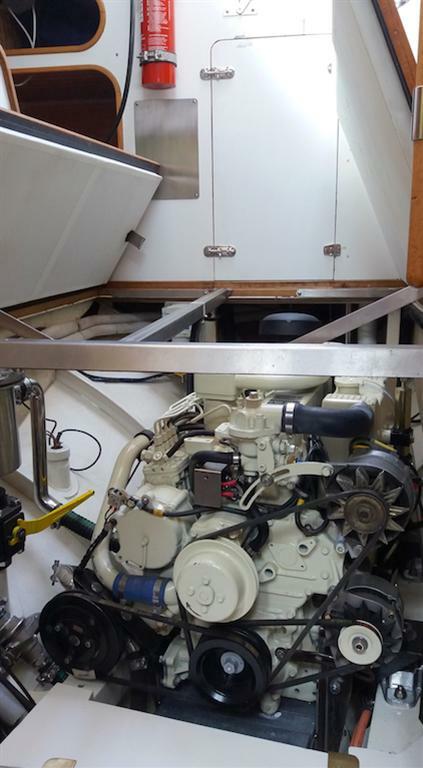 Engine with 12 and 24 V alternators, plus 1” clutched Jabsco deck-wash/salvage pump. Wing mounted, left handed 21” x 19” prop. New stainless steel shaft and cutlass bearings. 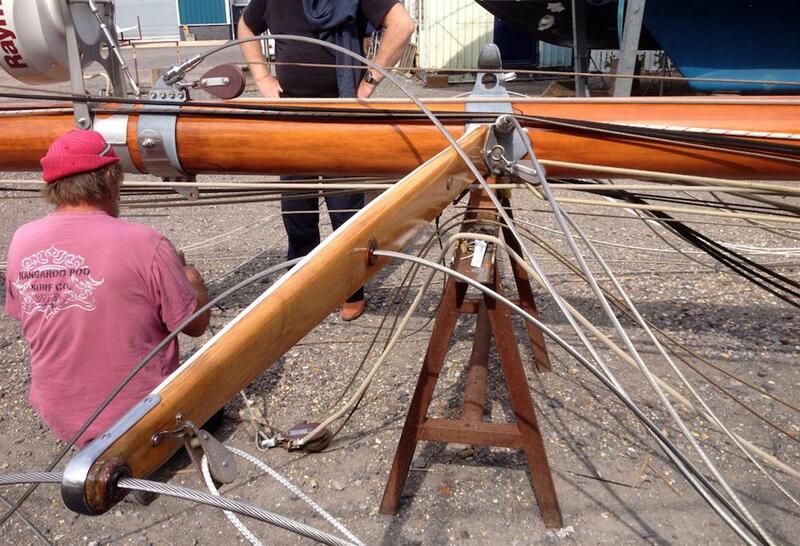 • No 1 Jib ( with Wykeham Martin furling). 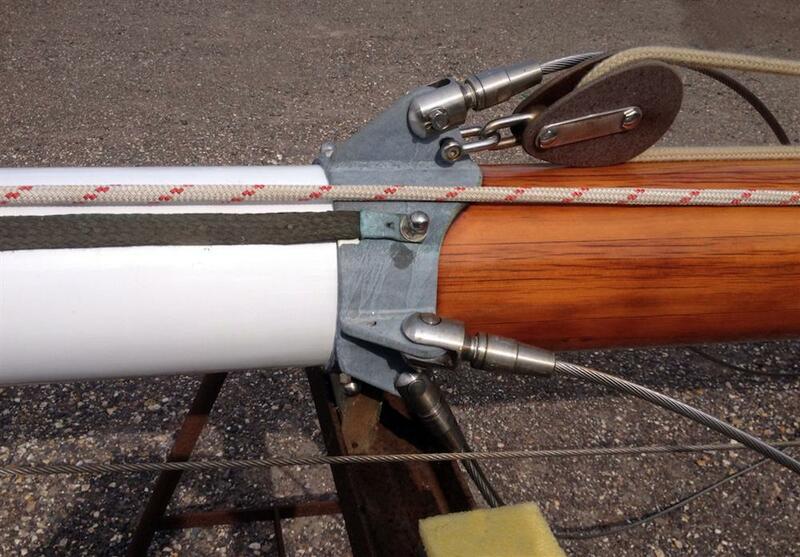 All spars (Main mast, Gaff Boom, Main Boom , Bowsprit, Spinnaker pole and Staysail boom) constructed from Canadian Douglas fir. 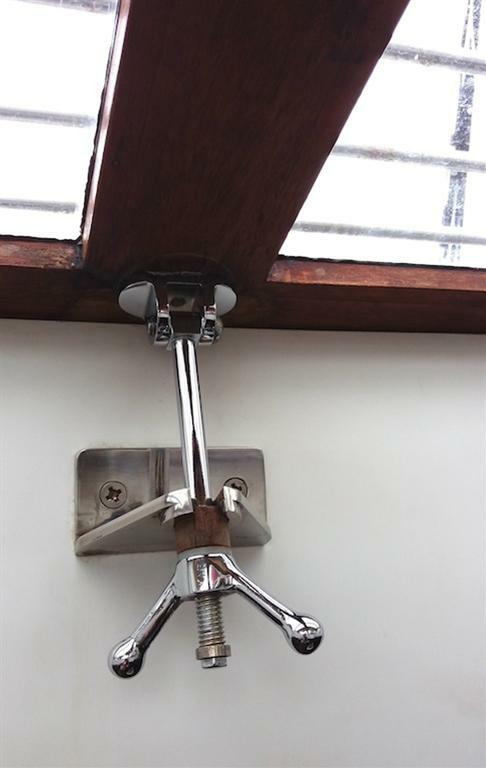 Stainless steel standing rigging with Norse Terminal fittings, stainless steel bottle screws. Recent rig survey available. 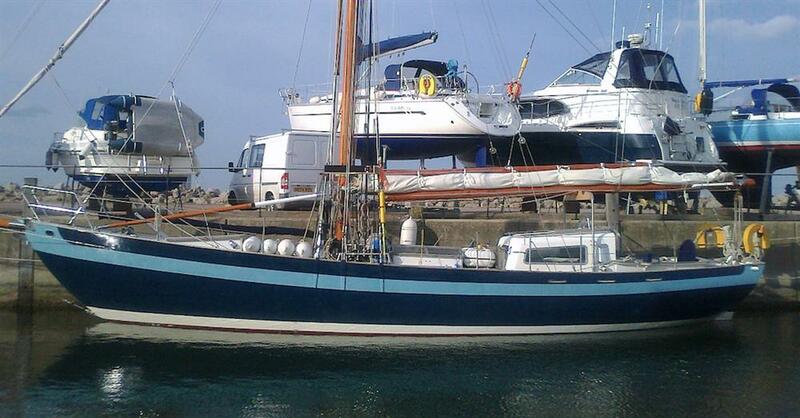 Winches - 4 off Lewmar 40 series self-tailing winches :- 2 on main mast, 2 on cockpit coaming. 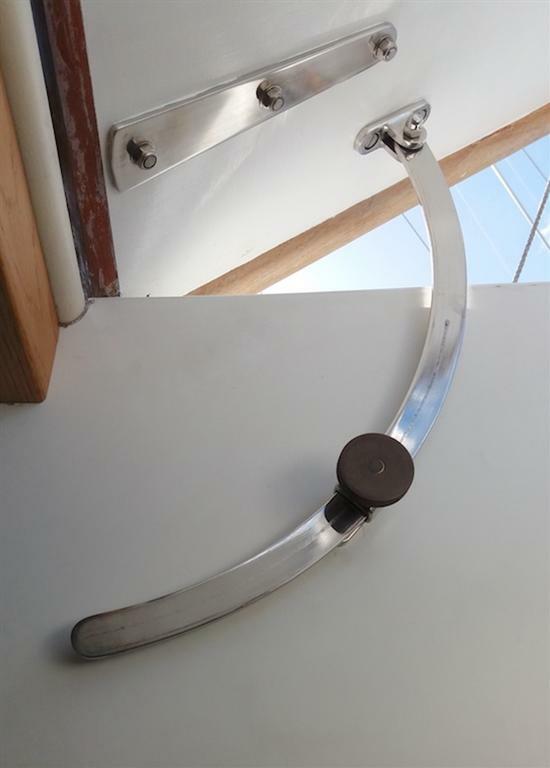 Teak Bar cleats throughout with large stainless steel belaying pins on stainless steel pin-rails. 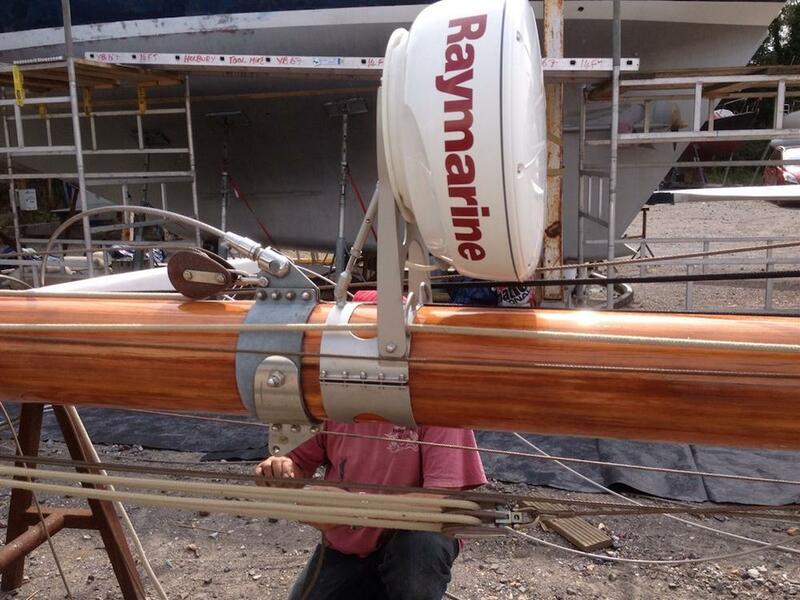 Running rigging - mostly renewed 2016 - with Main Marine tuffnel blocks. Double running backstays - custom built from stainless steel with highfield type levers. Ground tackle - 24V electric winch with lift capacity excess 1 tonne. 72m x12mm galvanised chain. 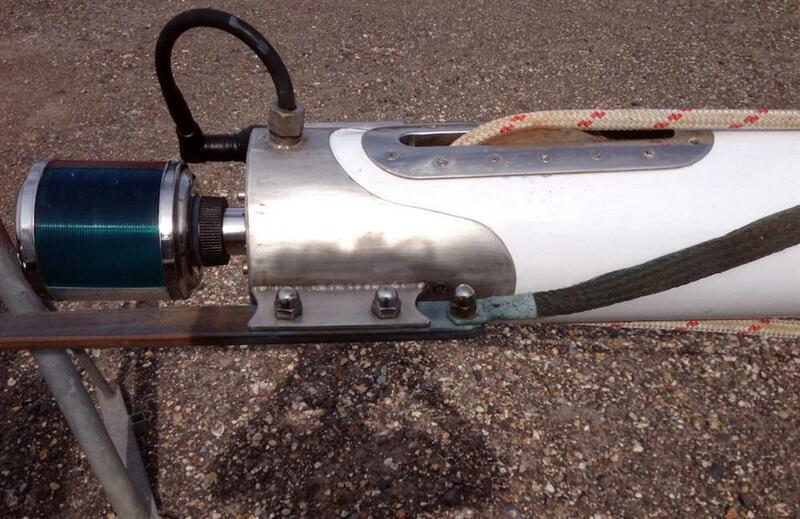 Main anchor 65lb CQR galvanised. 45lb spare galvanised CQR. 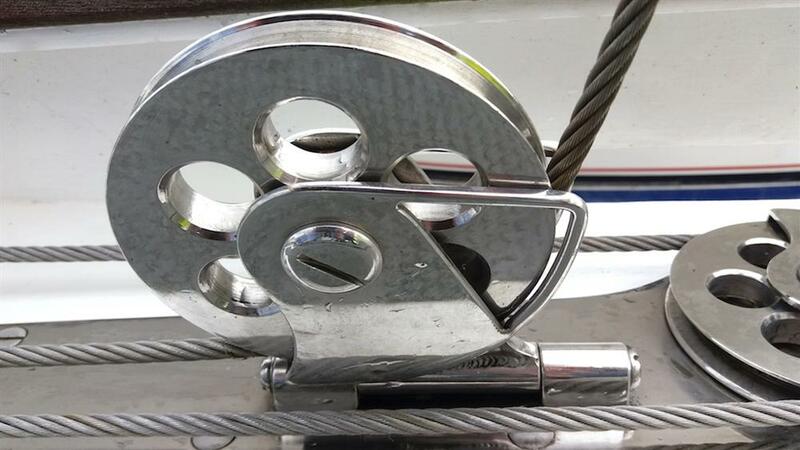 30 KG Storm WASI 316 grade Stainless steel anchor. 2 off horseshoe life rings plus lights. 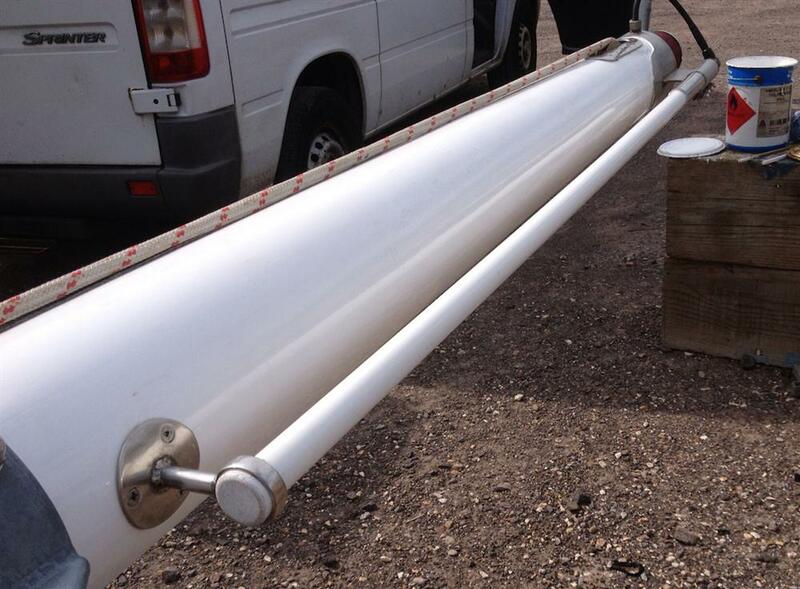 Liferaft - New 8 man canister liferaft with hydrostatic release will be supplied and fitted at time of sale. Boarding ladder - substantial large stainless steel and teak boarding ladder (reaches 4 feet below waterline). 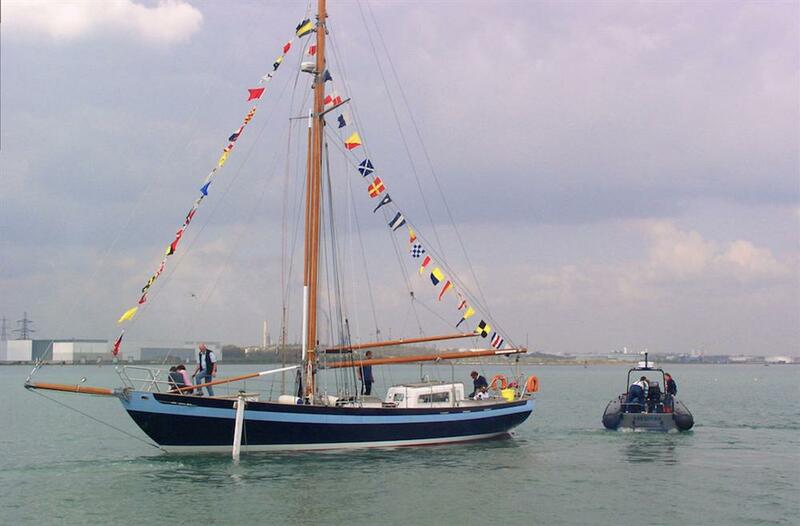 Tender - 3.4m AVON rollaway airDECK with 3.5hp Tohatsu engine. Both in fair condition. Water 2 polypropylene rigid baffled tanks - total capacity approx 130 gallons . Tanks are independent from each other. Pressurised hot water from Webasto heating system . Fuel. 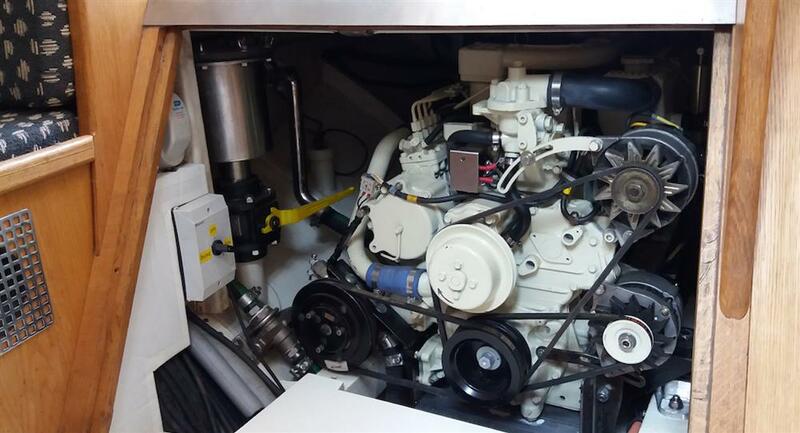 Diesel for engine held in integral hull tanks under engine - accessed in engine bay - capacity 150 imperial gallons. Day header tank capacity 20 imperial gallons. LPG. Gas storage locker located on deck behind cockpit , bottle capacity 13kg propane. Combined CO/Gas detector fitted. ( Marinecare). Generator: Fischer Panda 4 kvA - this has had minimal hours use. Batteries. 3 off 90 Ah gel batteries : 2 for household use, 1 dedicated engine battery. Multiple switching possible. 80 AMP/12 volt Alternator and 40 AMP 24V Alternator on engine. 2 off winch batteries 80 AMP winch batteries. Deck mounted Solar panel standby charging at 12 and 24 V .
Lighting: Internal LED throughout drawing total 8 Watts when all in use. Multiple consumables - tapes, glues, spare paint. Multitude of warps, blocks etc - further details on request. 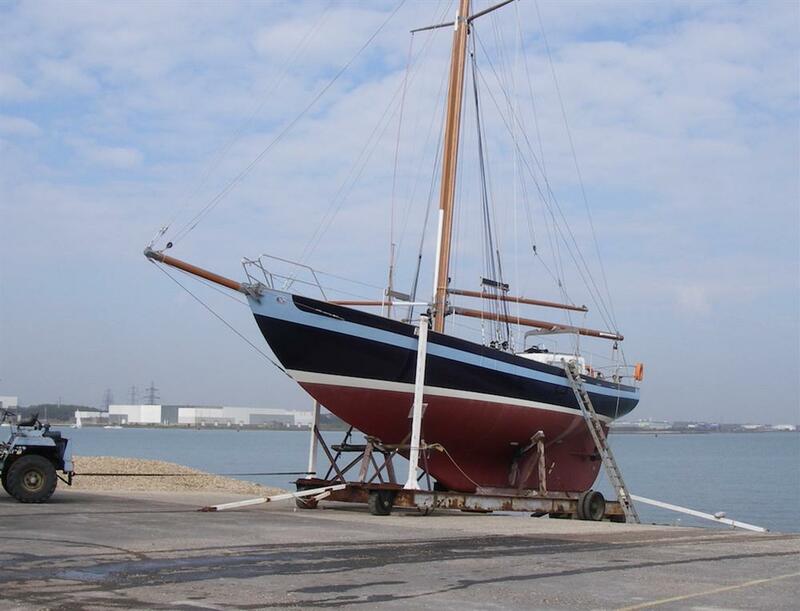 We wasted much time looking for the ideal yacht that would meet our specific requirements. 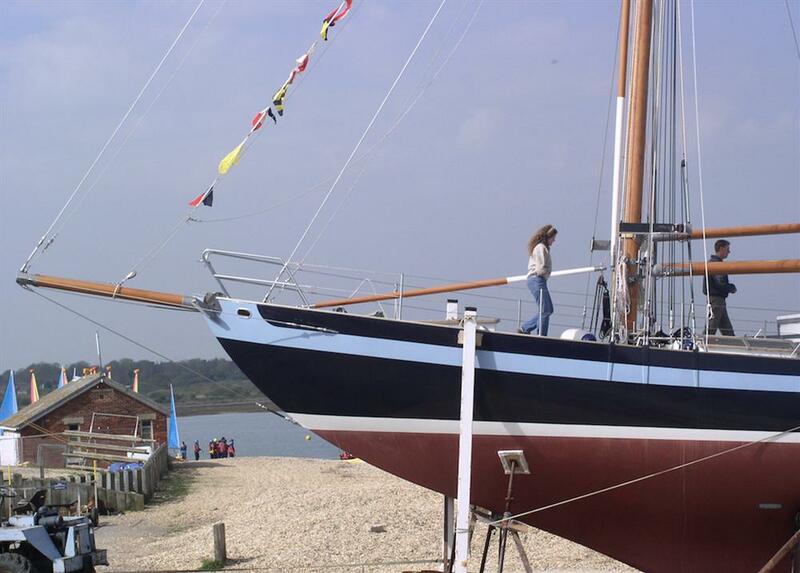 A strong, classic, seamanlike vessel - practical, reliable and yet beautiful boat that would take us anywhere. 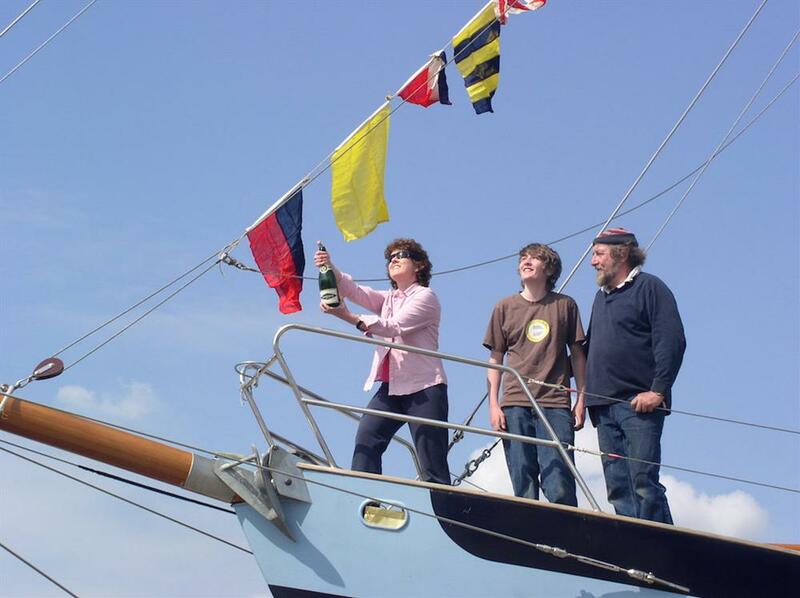 It needed to provide comfortable and spacious accommodation and a roomy uncluttered safe deck. We needed a boat that would look after us when we needed it. We also wanted a yacht that captures your imagination - turns heads - makes you draw breath and have everyone say she's so beautiful. 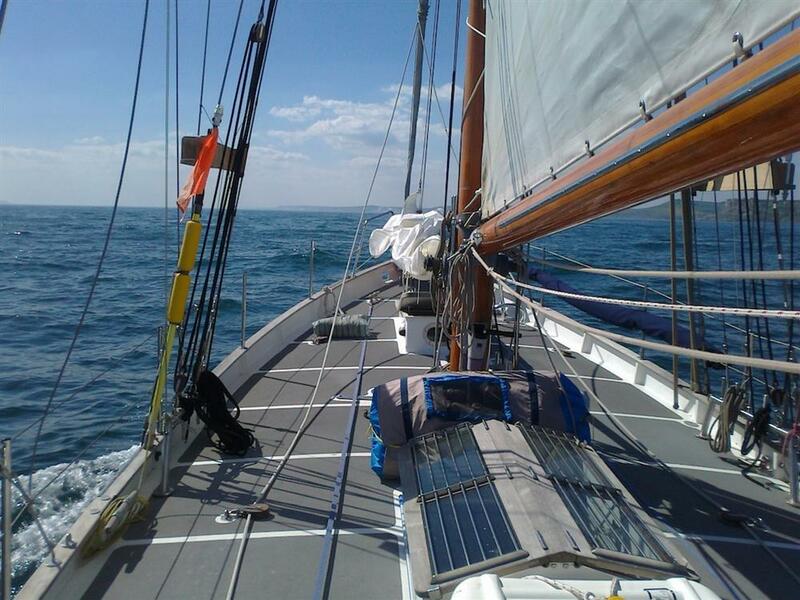 We wanted the best of two worlds - combining the proven sea kindliness of a classic Gaff rig yacht, but with all modern upgrades that were in keeping with this design. This last point was to assist with short handling when needed. We stopped looking and starting building. 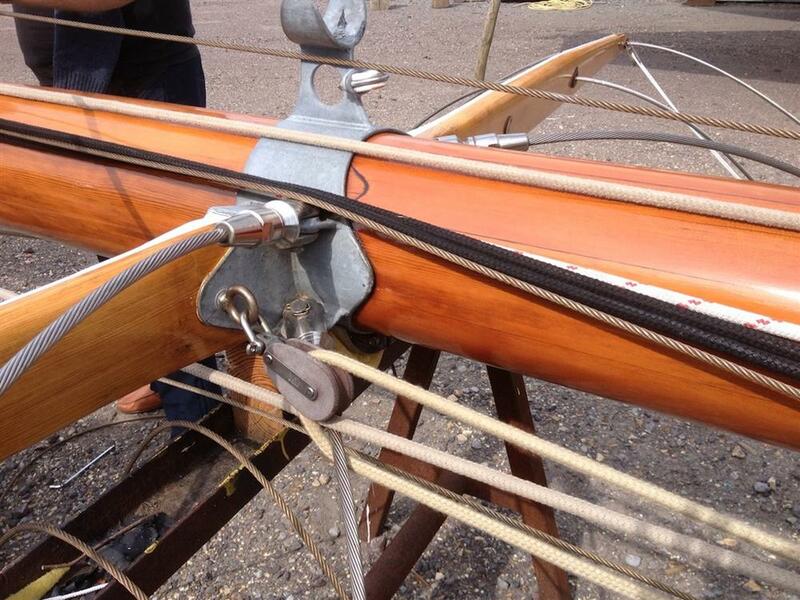 A boatbuilder married to a professional Mechanical Engineer. This was the start of our Dyarchy. Our rule from day one was - at all times - quality and practicality. 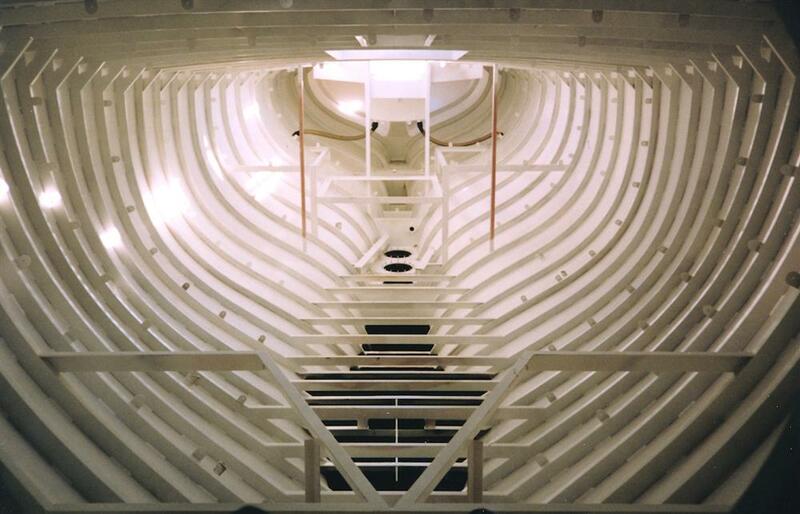 We lofted, framed, rolled and welded all hull and deck plates. All metal fittings (stainless steel and/or galvanised mild steel) are hand crafted to a modern sleek finish. The deck has been finished with practicality and safety in mind. 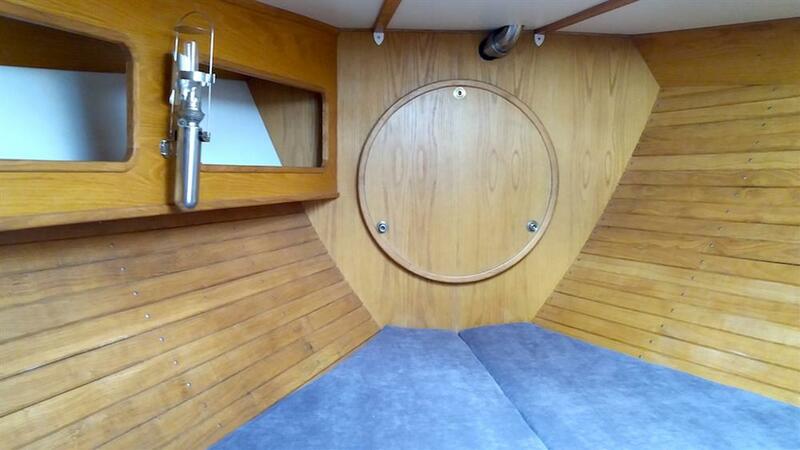 The interior is finished in American Oak and is light, airy and sweet . 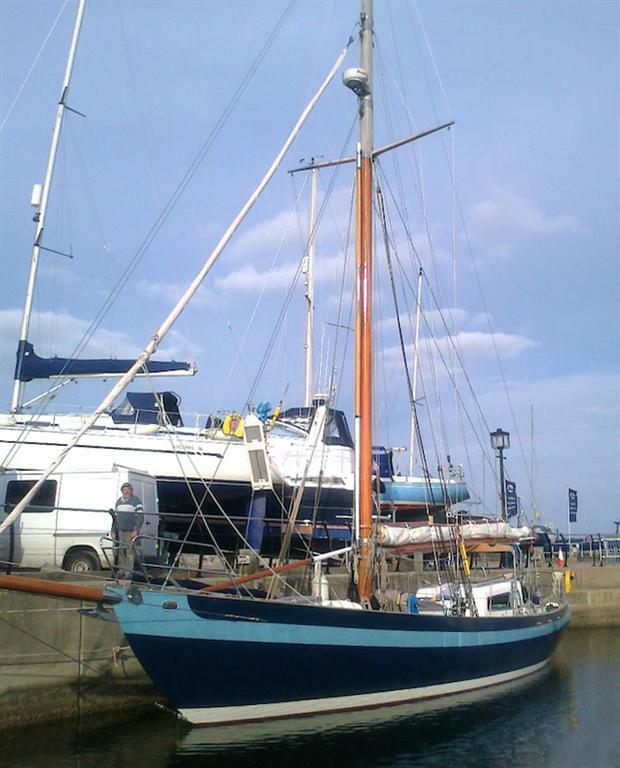 She is a joy to sail and a pleasure to live with. A well balanced, sturdy lady. The original Dyarchy was designed/constructed in 1939 - a commission by Roger Pinkney. 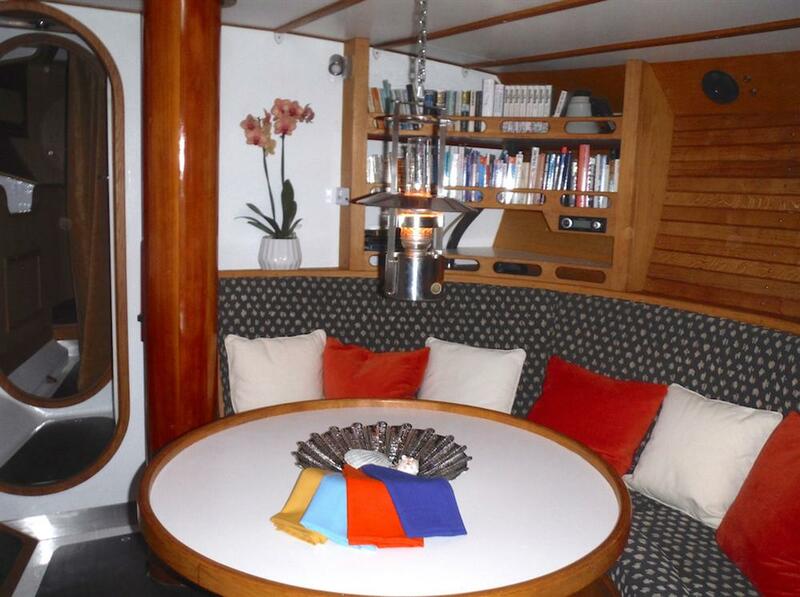 Designed by Laurent Giles (look it up - read “ Best of UffA Fox” or Erick Hiscock “Cruising Under Sail”). The original was of wooden construction. We contacted Alan Roy of Laurent Giles Naval Architects, and commissioned a new set of plans - to be constructed from steel. After the initial loft stage, we upgraded the frame sections throughout, with agreement of architect Alan Roy. All fabrication was carried out in excess of Lloyds standard. 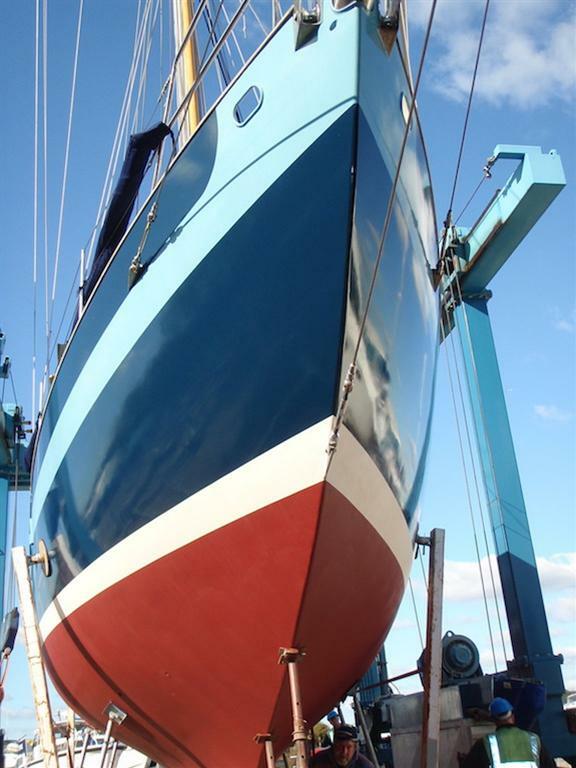 The completed hull was grit blasted internally and externally, then epoxy coated. 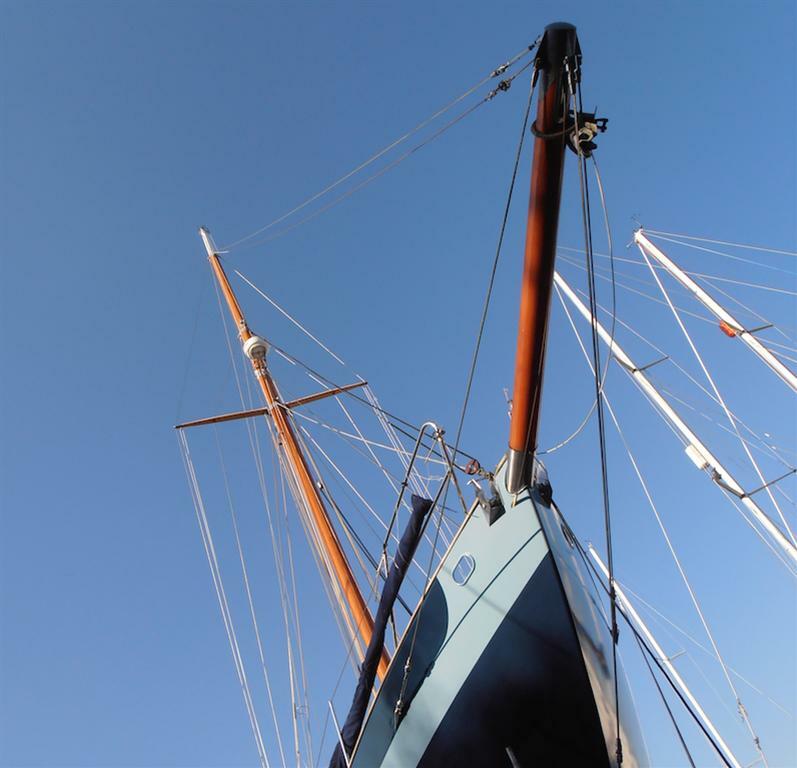 The internal ballast was made from cast lead ingots, loaded into the keel and “fixed” in place by pouring epoxy resin cement , capped off with epoxy coal tar. This provided a corrosion proof fixed system . Our original travel plans would take us both North (to cold climates) but also with the potential for warmer climate cruising. 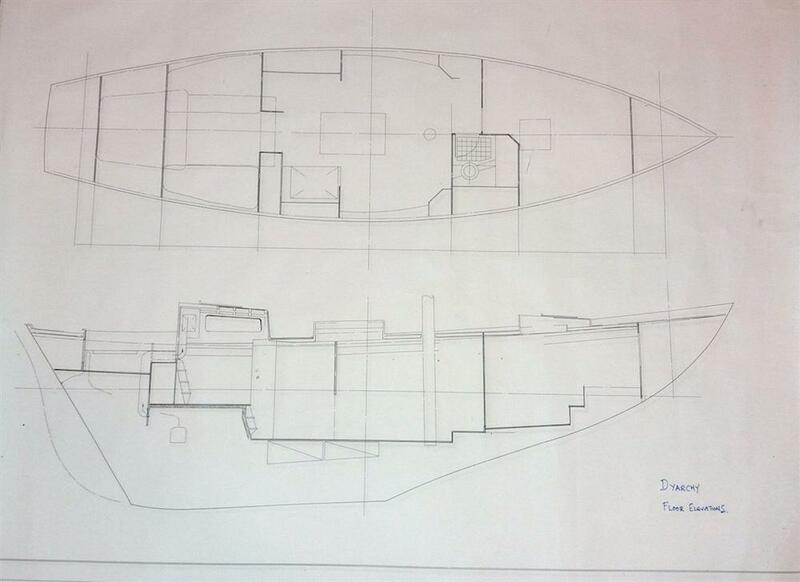 Hence we had the internal hull and deck PUF sprayed in the living quarters. A Webasto Diesel hot air and hot water system was installed to provide for comfortable living. We also have added a 4 kVa generator to allow power at the touch of a button without the need to run the engine. 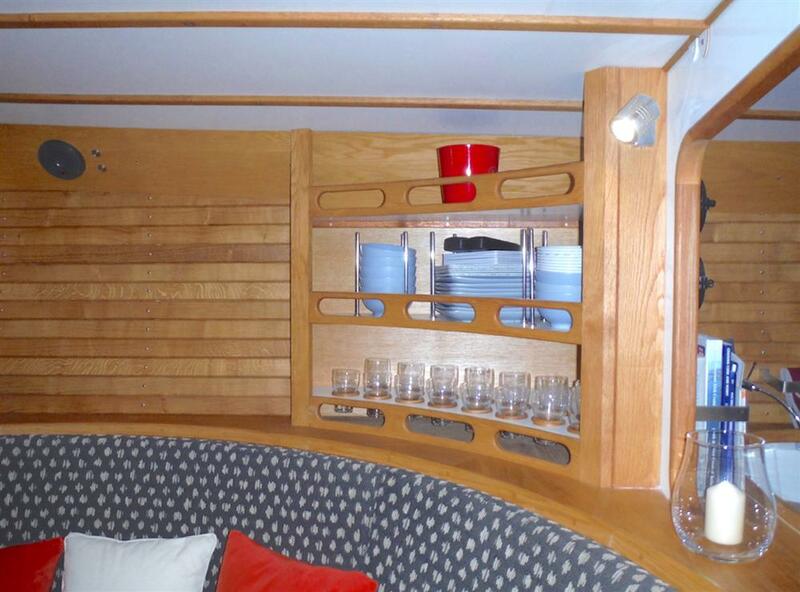 Fitting out below deck - All of our furniture is finished in American Oak to keep the insides light and airy. The lines of the oak furniture have been kept curved and sleek. 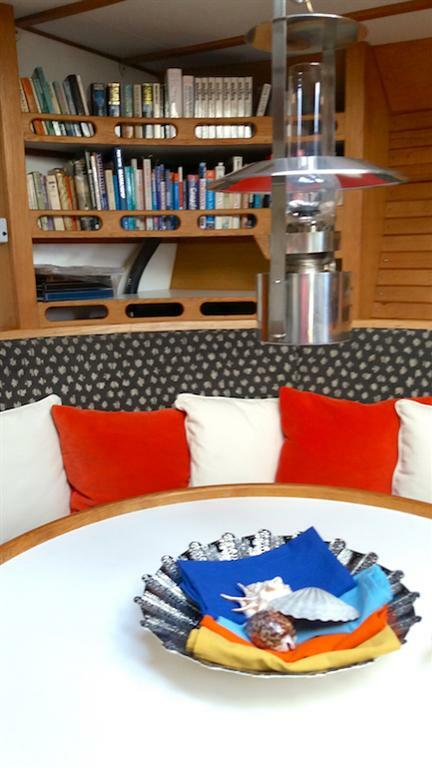 The deck-head is white melamine lined to reflect all natural light. Particular attention was given to providing adequate handholds throughout. The sole is finished in non slip black - all panels are quick lock released for under sole stowage - ideal for tinned goods and heavier items. 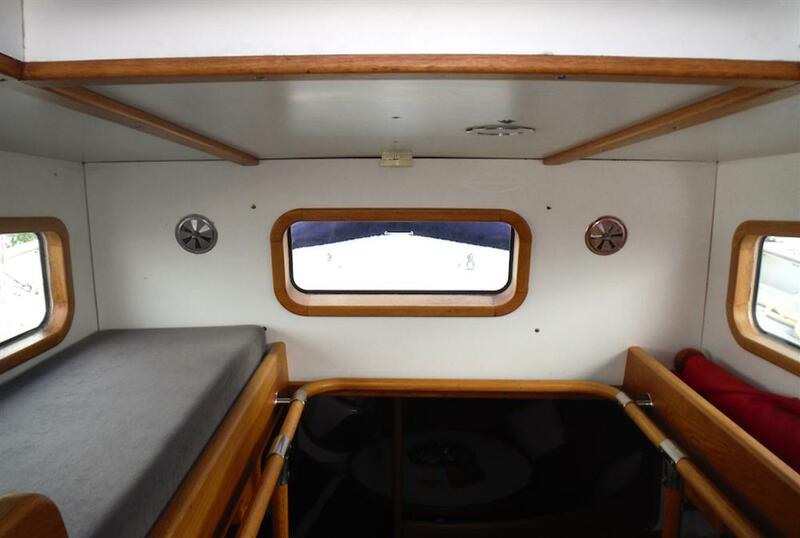 There is an abundance of stowage within the main saloon and forward cabin areas. The cosy main saloon settee and captains chair are finished in a brown/white wool fabric - this was chosen to compliment the oak. We added Swedish oil lamps throughout - as an auxiliary to the main lights - or just instead of them to provide cosy ambiance in the evenings. For entertainment there is a built in radio/CD player, also we have a 12 V TV/DVD player which was occasionally used. And of course a large bookcase. 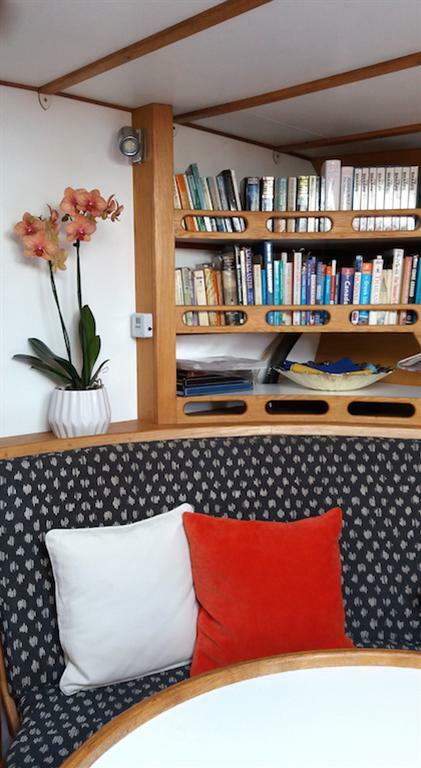 There are 6 fixed berths - we realised that on a modern 14m long yacht you may cram in 10 berths - but this was NOT what we wanted. 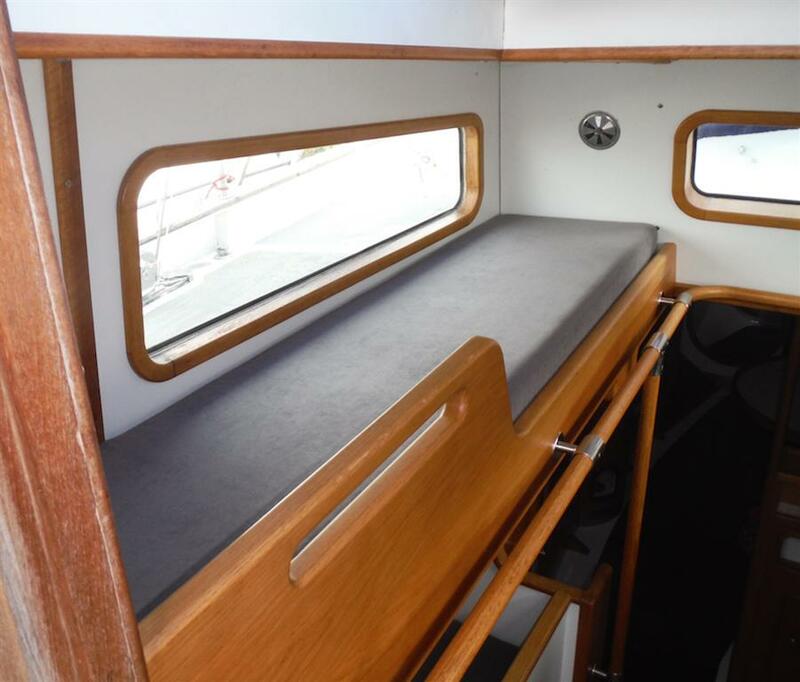 This makes for a very spacious live aboard, but with the potential to add a further berth within the main saloon port side if required. The heads contains an original Blake Excelsior toilet - this has been fully refurbished and works really well. There is a built in deep shelved locker to the side of the vanity sink that will stow linens/towels and any cleaning products required. The Engine bay is located under the sole in the Pilot house . The pilot house deck has a sliding hatch that allows the engine to be lifted in/out easily. The baffled diesel tank is integral to the hull - located directly under the Engine. A day header tank was then installed - to eliminate any possible air locking problems with the fuel system. 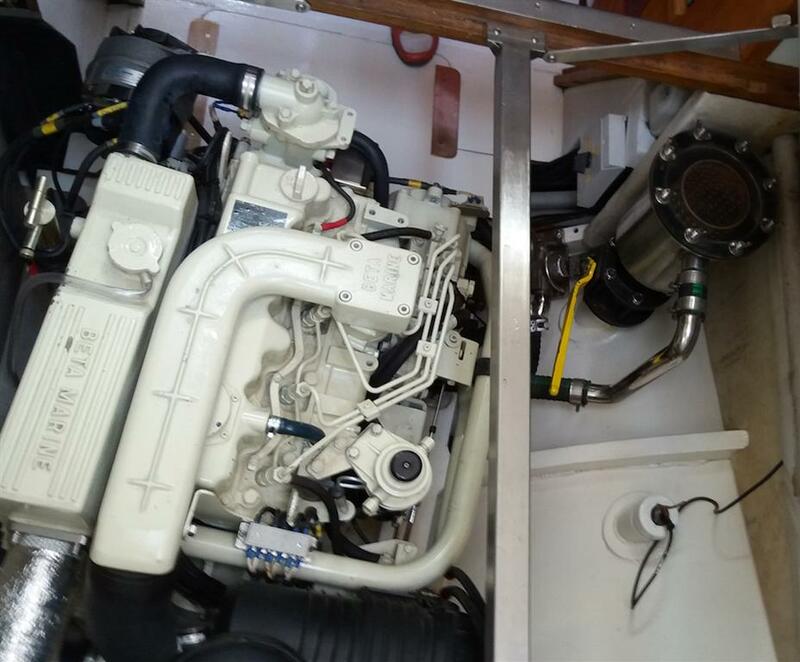 The original diesel engine was removed and replaced with a up to date Beta Marine 75 HP, currently being commissioned. This Engine was chosen to meet the present day rigorous emissions standards of Europe and USA, whilst delivering adequate power in a quiet fashion. The prop-shaft is new. 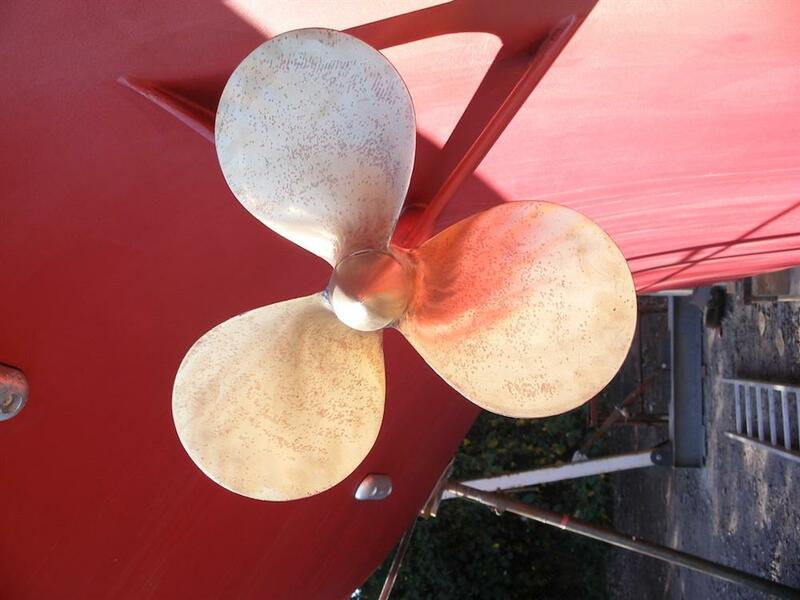 All stopcocks/first off valves are mounted on Extra Strong steel tails welded to hull - all accessible and recently overhauled. 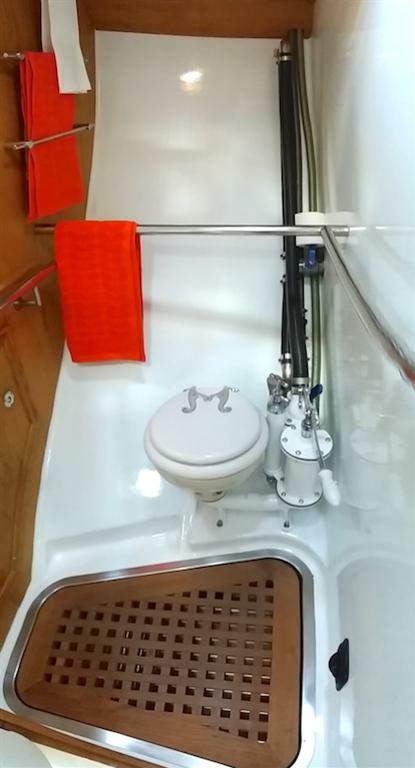 There is an automatic bilge pump system - located in the aft bay within the main saloon. An array of valves allows firefighting water to be pumped. 2 smoke detectors are fitted, and a CO2 fire extinguisher system is installed within the engine space. Gas/CO detection system installed. LPG - Bottled Propane - used for cooking. 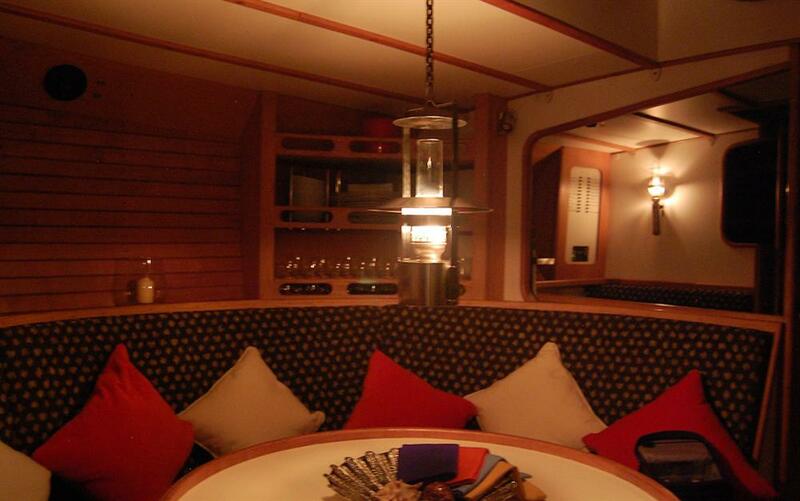 Stowage under aft deck in a fully welded compartment with venting overboard and is accessed from the deck. 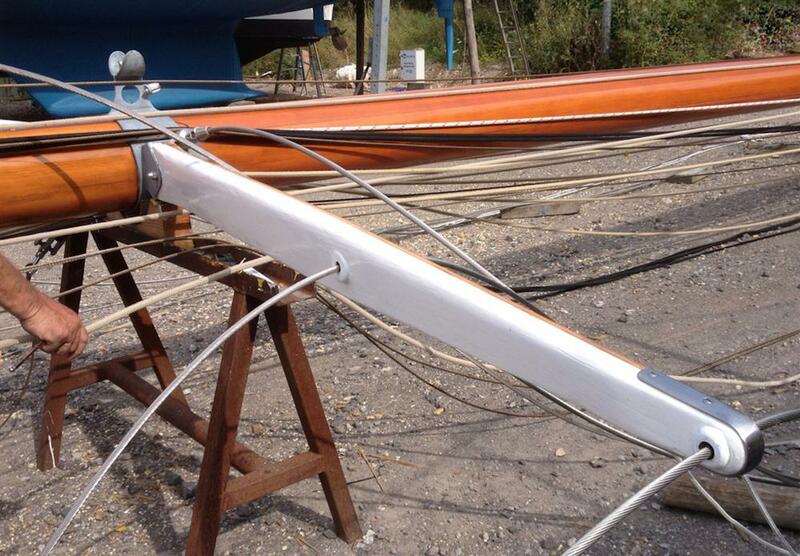 The rig on Dyarchy is deliberately designed to allow short handed sailing. 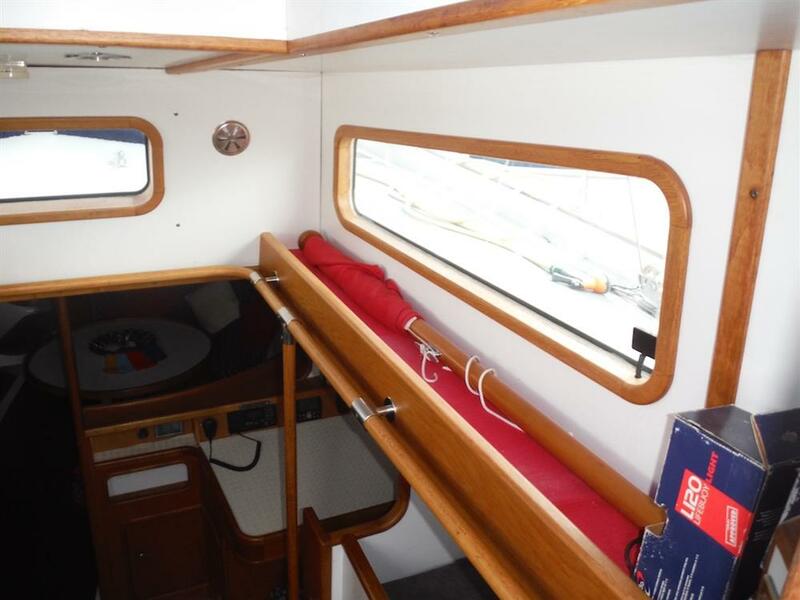 The total sail area is 1421 square feet, but this is spread over several sails making for a manageable load for 2 competent persons. As usual - with a classic this size - no suitable fittings can be obtained off the shelf . 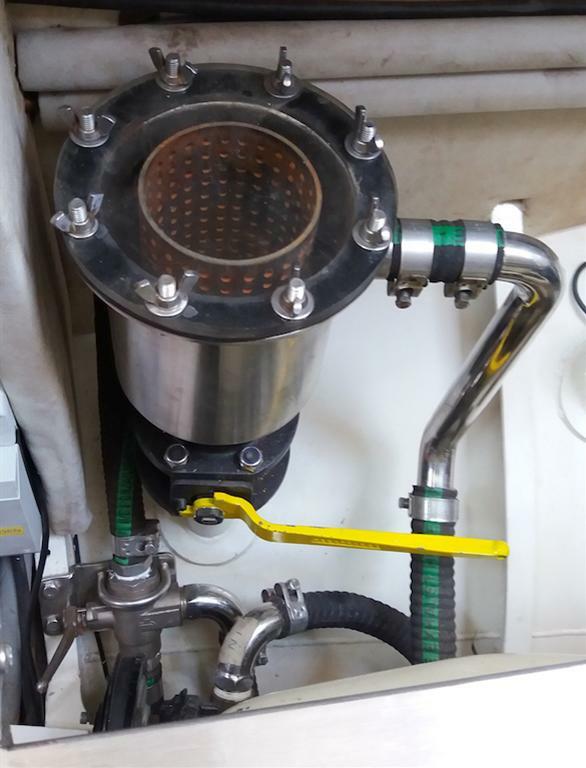 The available fittings that meet the loading specification were usually from bronze alloys and we needed to retain the stainless steel composition throughout. All of the spar fittings - mast bands, end caps, jamming cleats, saddles, are all bespoke - being cut from stainless steel and/or mild steel plus galvanised. 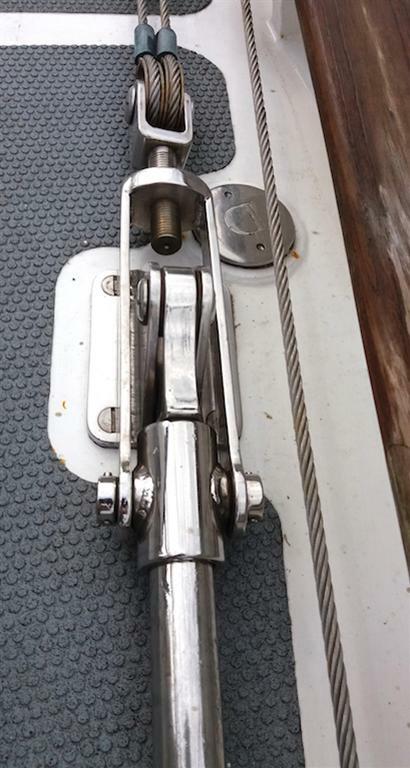 All deck bar cleats were custom made. 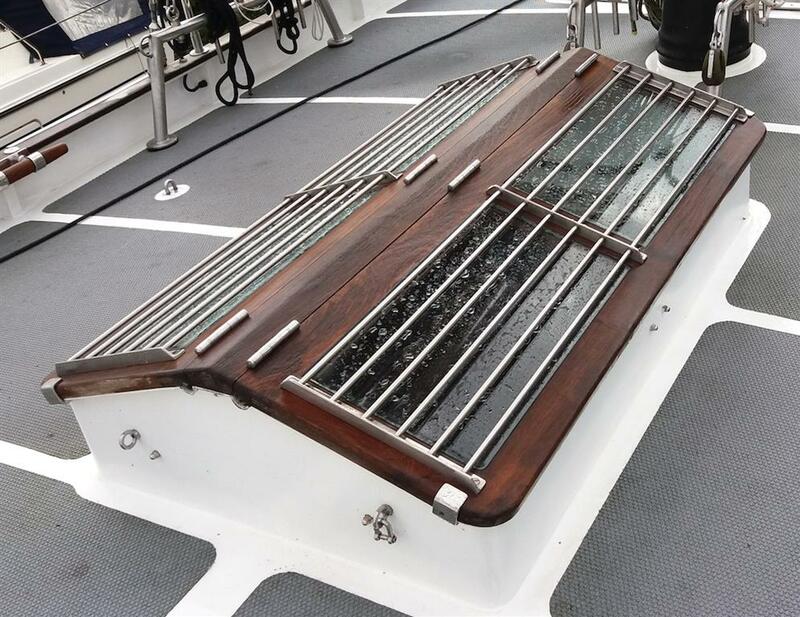 Grab rails on the deckhouse are made from teak with stainless bars. The running backstays were fabricated from polished stainless steel. Look at the photos for detail please. The boarding ladder was constructed to give secure access from 4 feet underwater. This was with sub-aqua diving in mind. Owners comment - Dyarchy deserves to be used to her full potential. We cannot now dedicate the time and commitment to using her to this full potential. 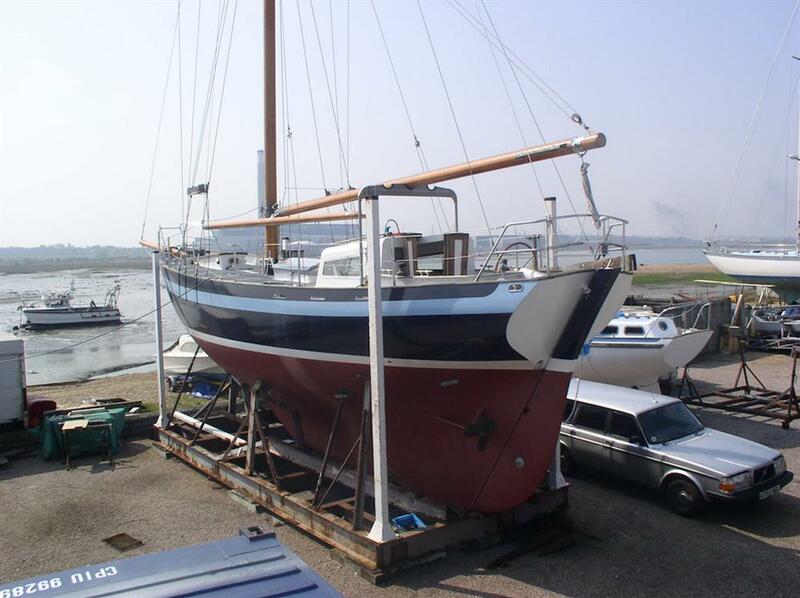 She is ready for new owners who will look after her and use her to this full capacity. We are sad to see her go, as she represents a large part of our lives.